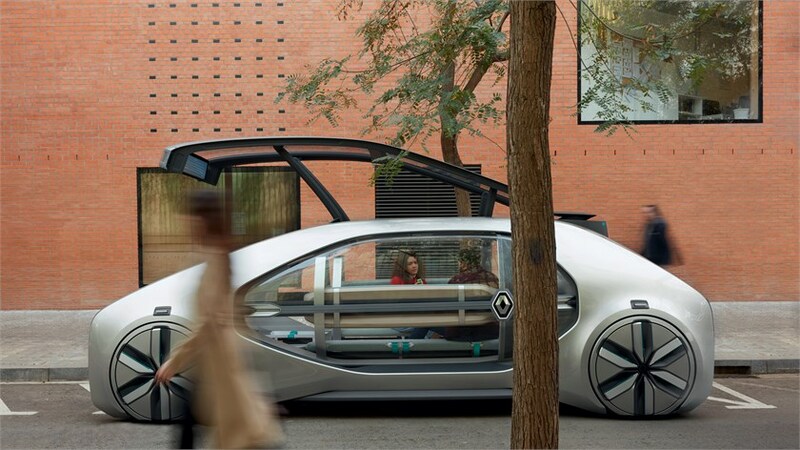 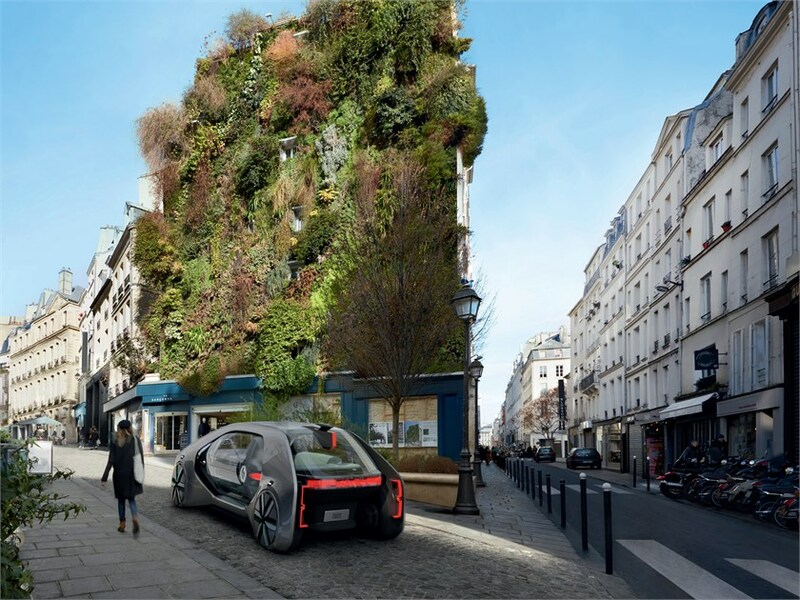 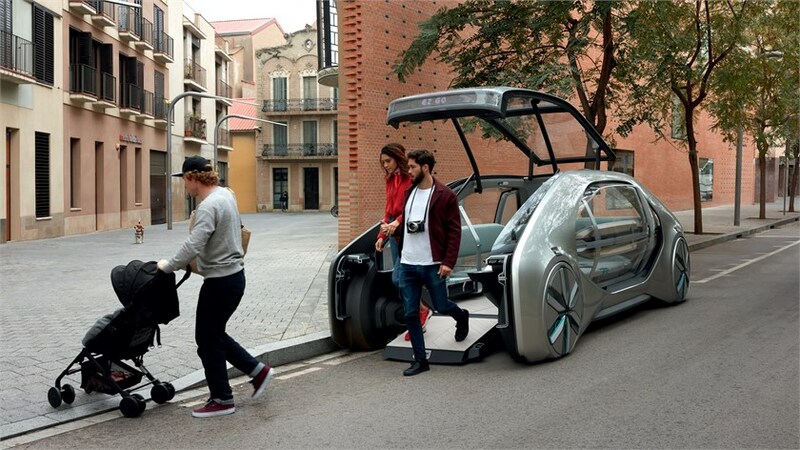 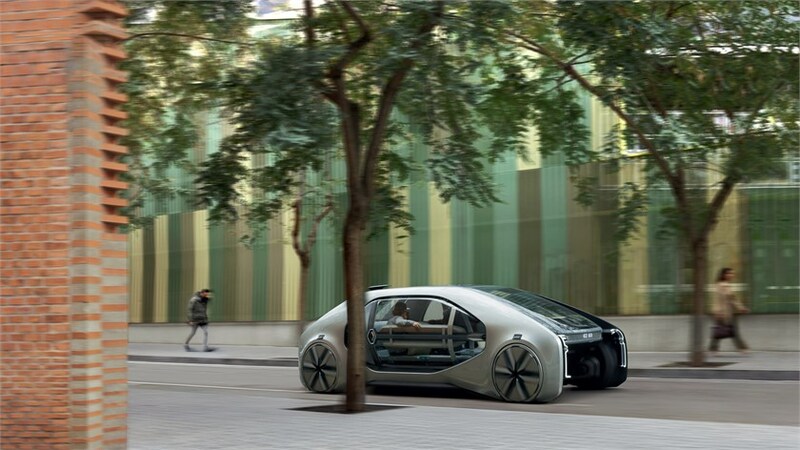 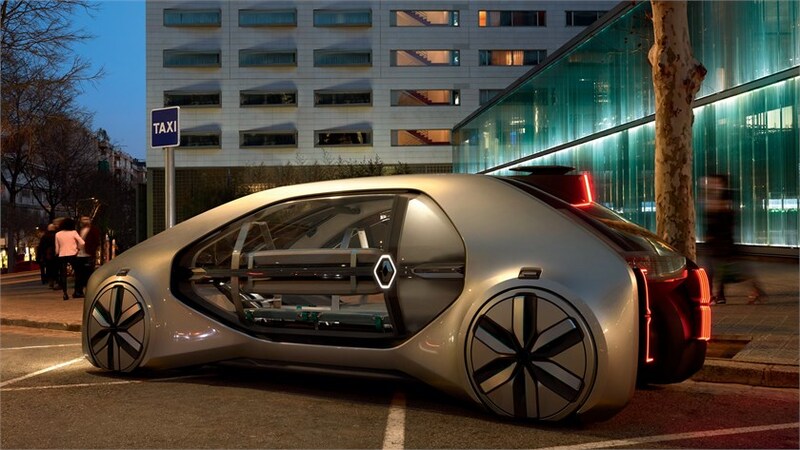 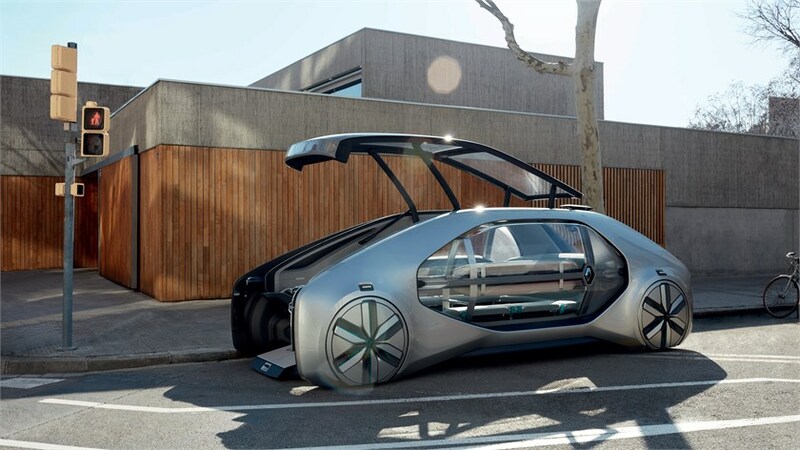 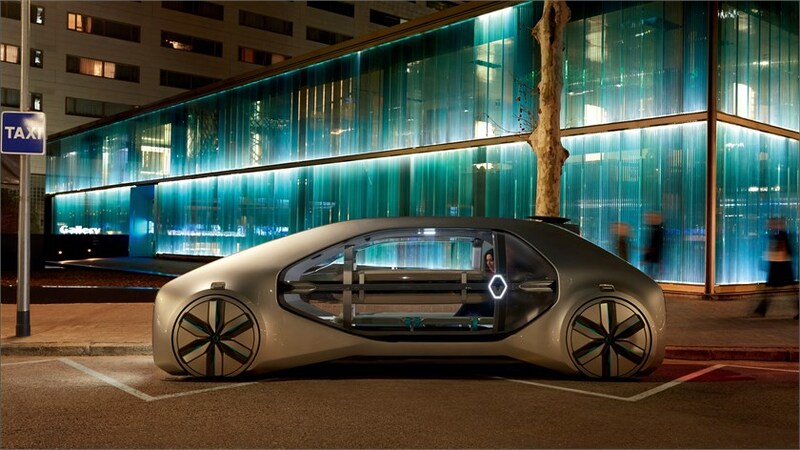 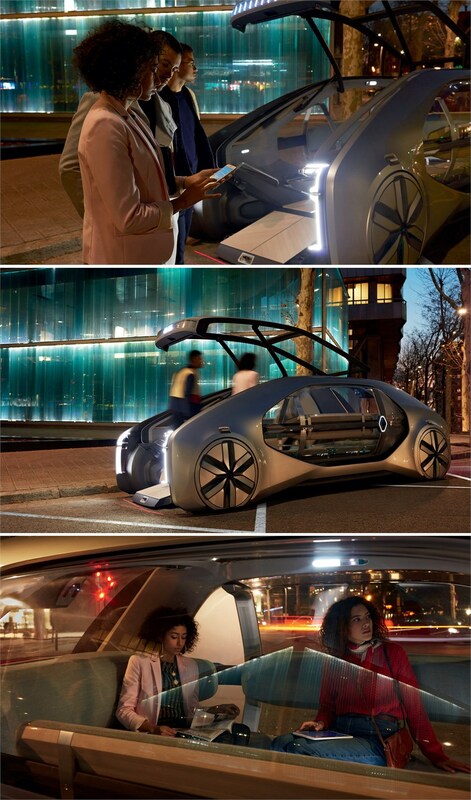 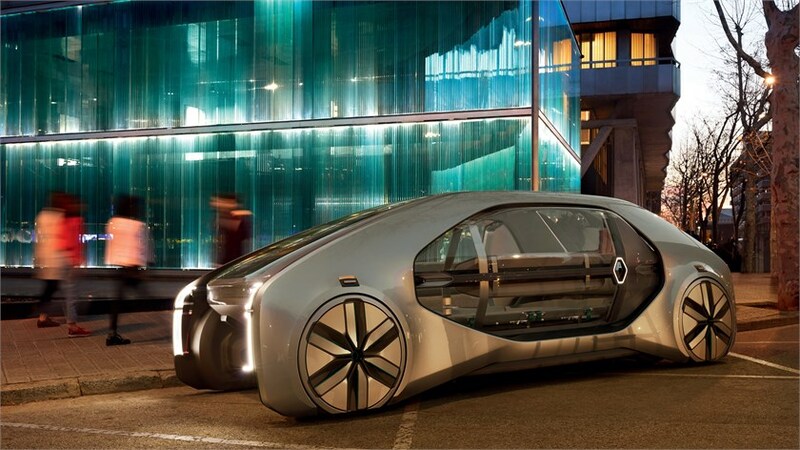 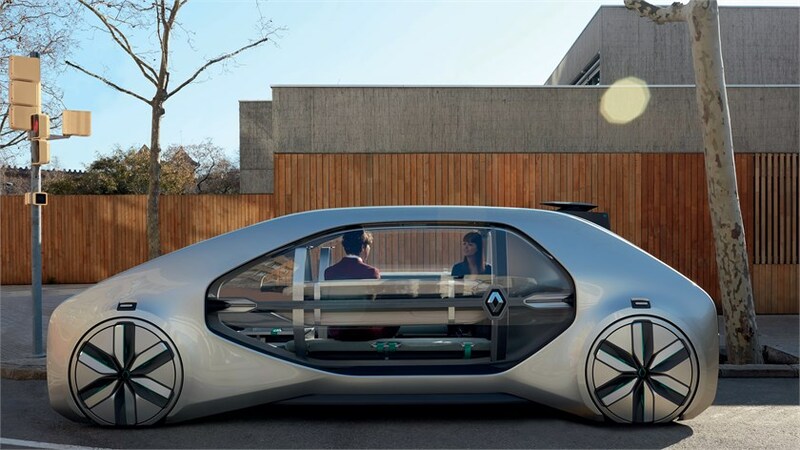 Renault introduced a robo-vehicle and ride-hailing concept, with an iconic design meant to integrate into the environment, and maximize new ways of moving around congested cities. 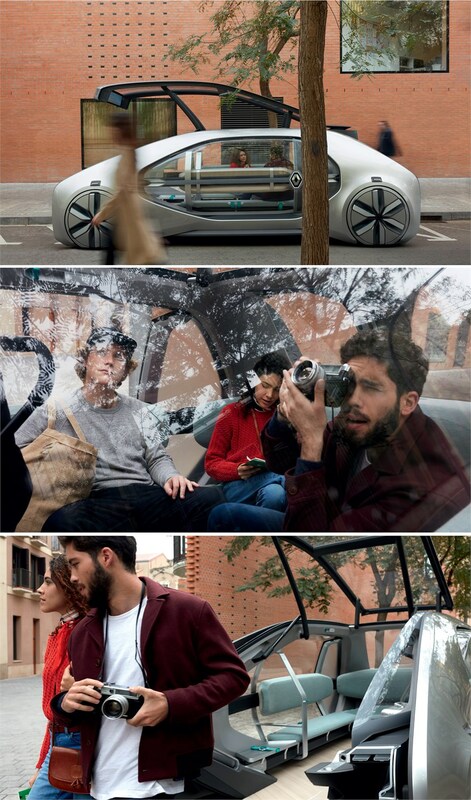 A first of its kind, Renault EZ-GO, an electric, autonomous, shared « robo-vehicle » concept is both a vehicle and a service that allows people to hail a ride either from a fixed or mobile location. 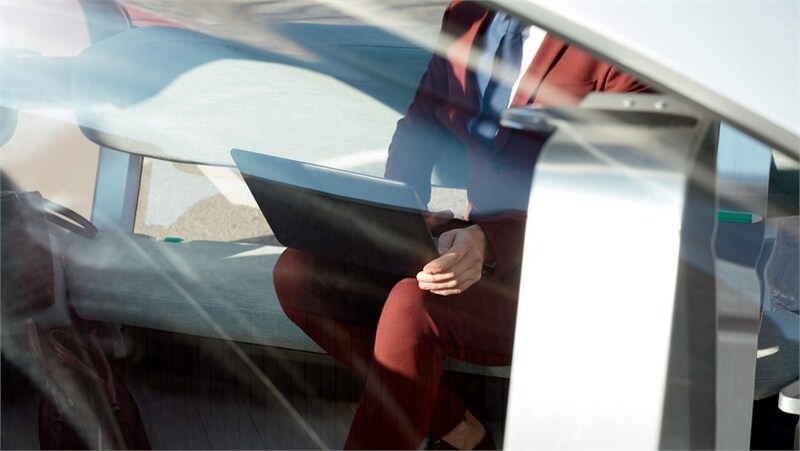 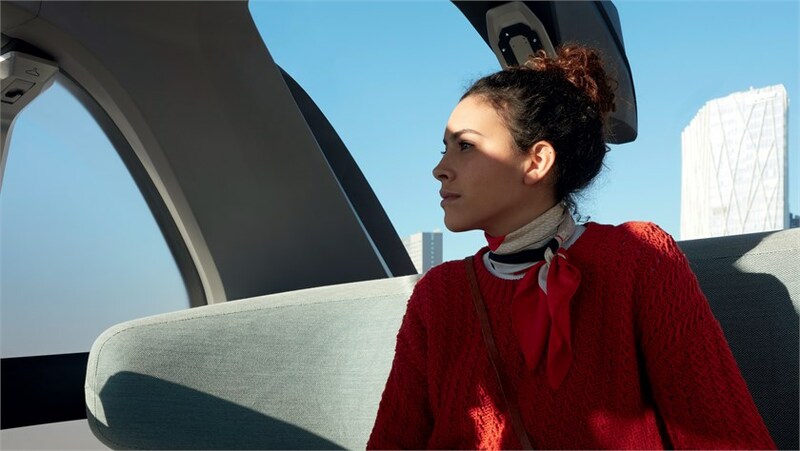 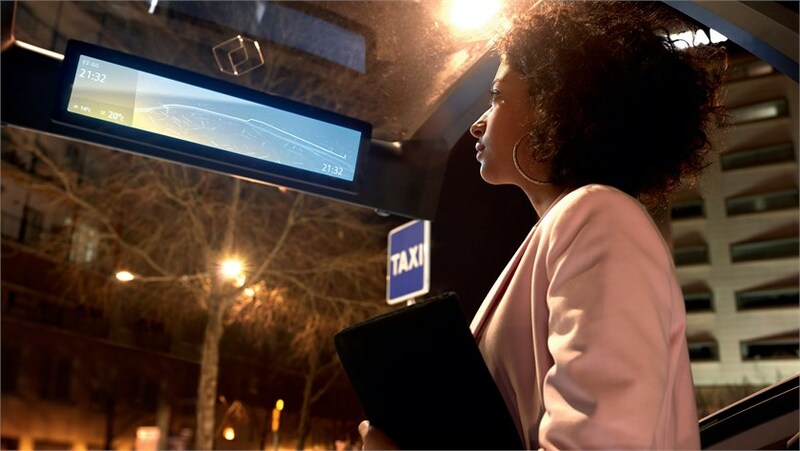 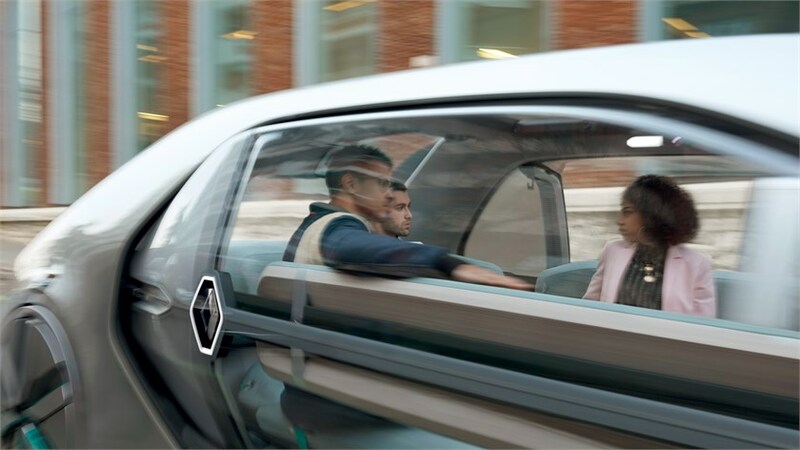 Renault believes vehicle-service integration combined with connection to city infrastructure – leveraging sensors, data analytics, connected services, multimodal systems and more – will be a key characteristic of successful mobility solutions and smart cities of the future. 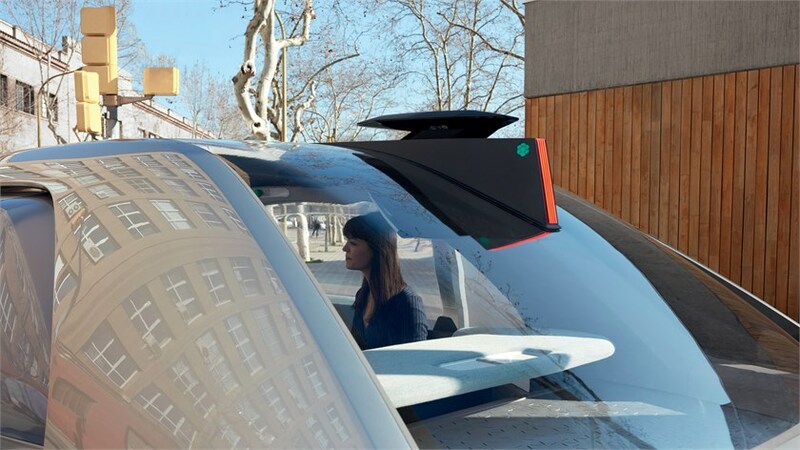 EZ-GO is the first of a series of Renault concept cars focused on mobility services that will be unveiled during 2018. 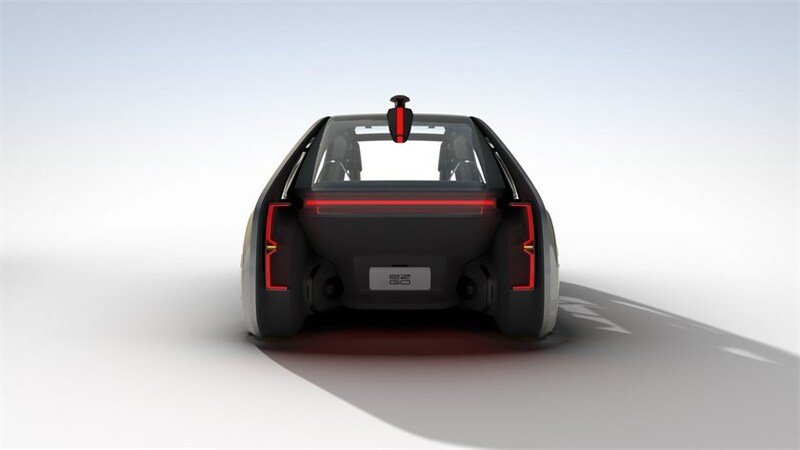 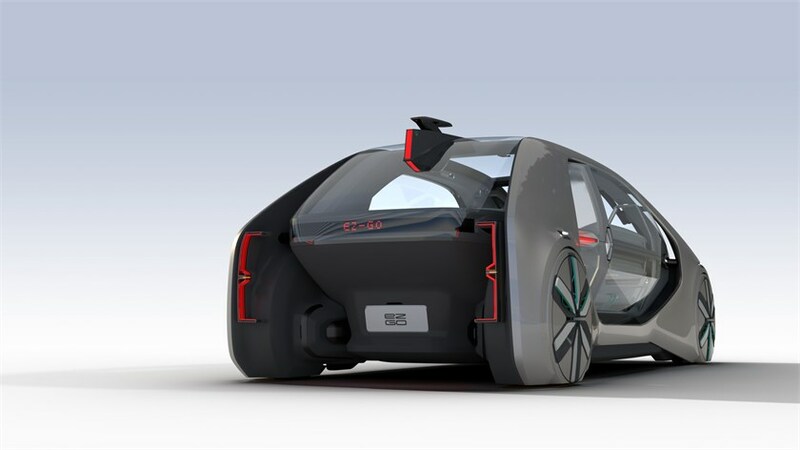 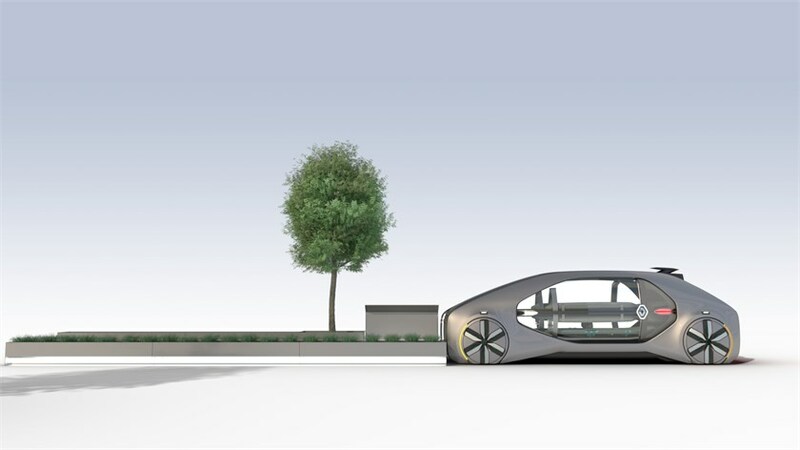 EZ-GO follows the successful introduction of Renault’s electric, connected, level-4 autonomous drive demo car for individual ownership, SYMBIOZ. 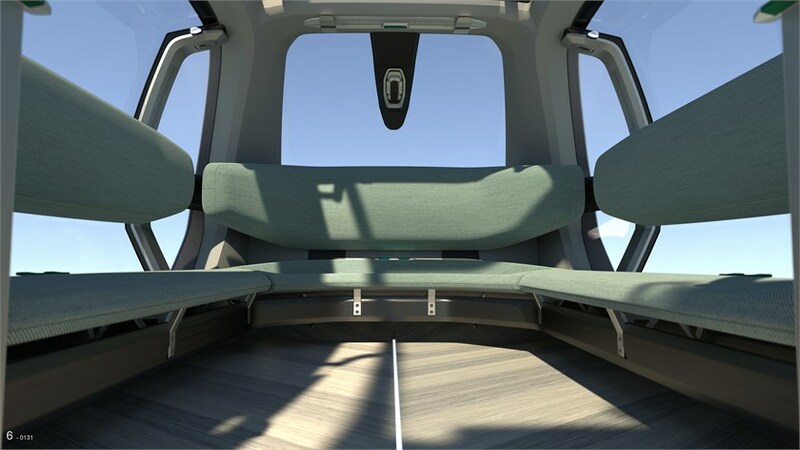 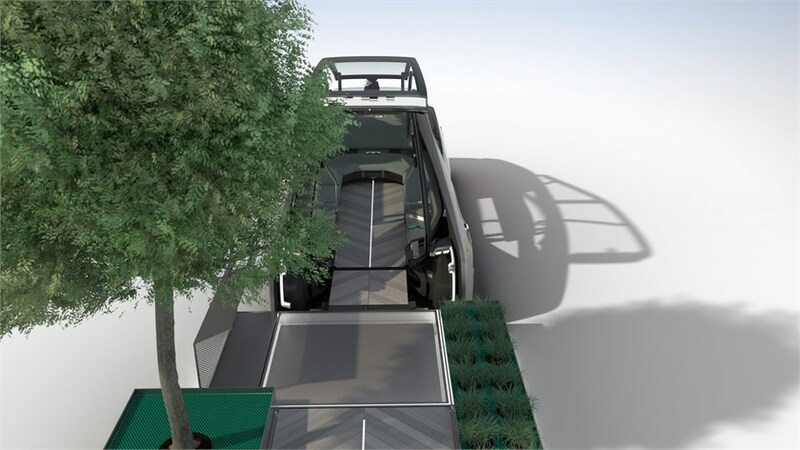 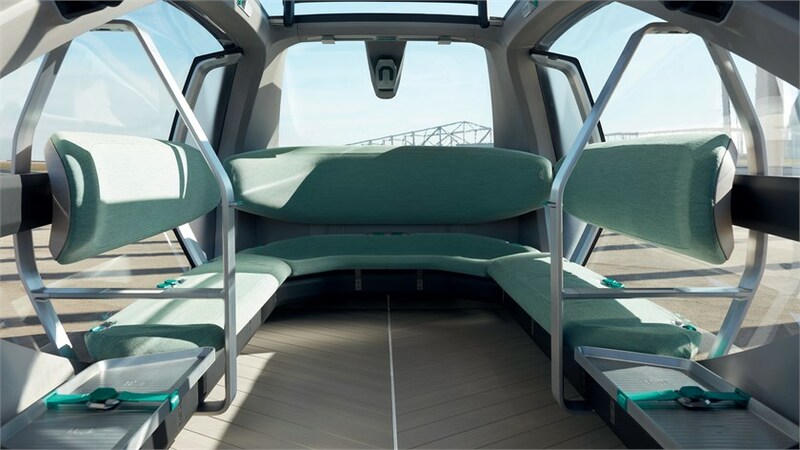 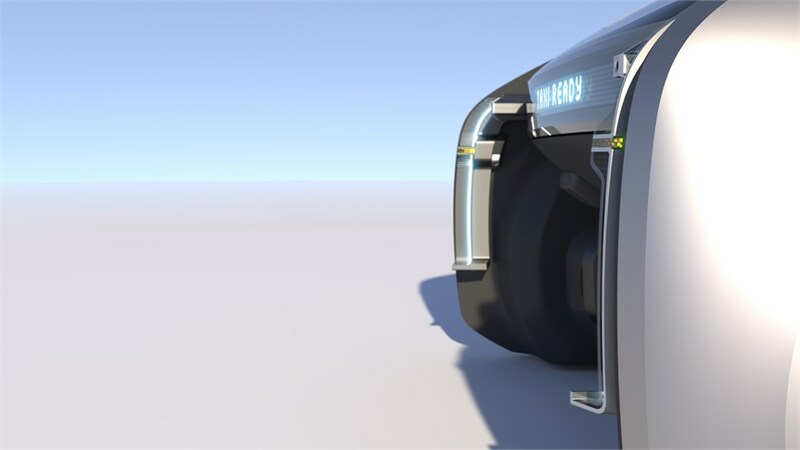 EZ-GO, a shared robo-vehicle and service which could be operated by private or public companies, is complementary to passenger cars and public transport options such as the metro or buses. 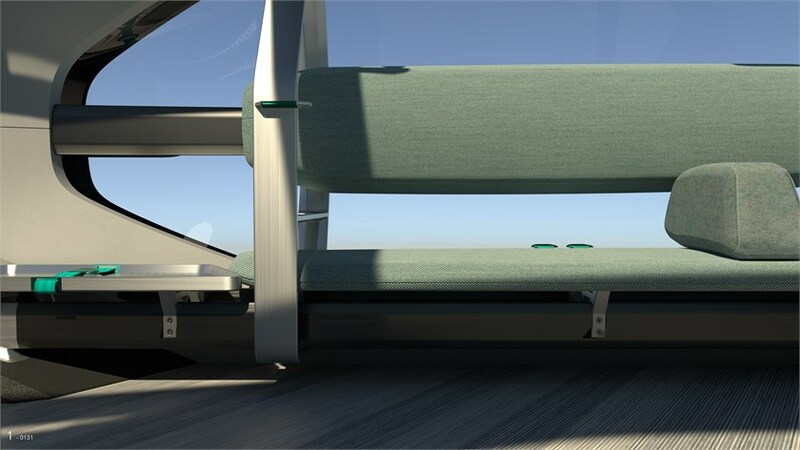 EZ-GO was designed with individuals or small groups in mind. 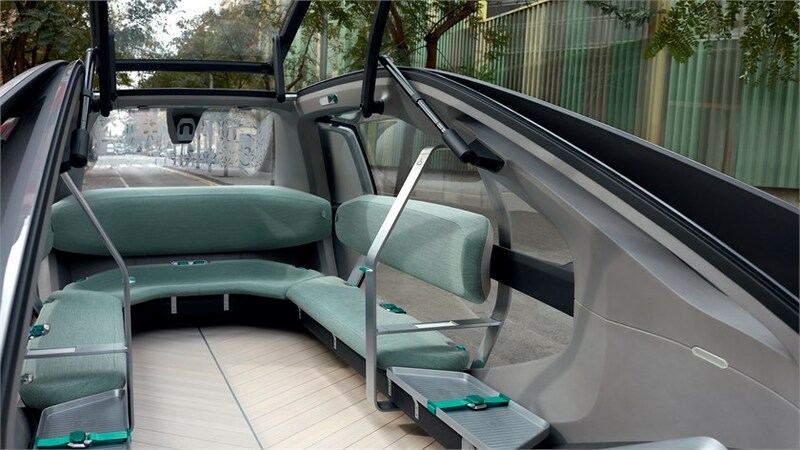 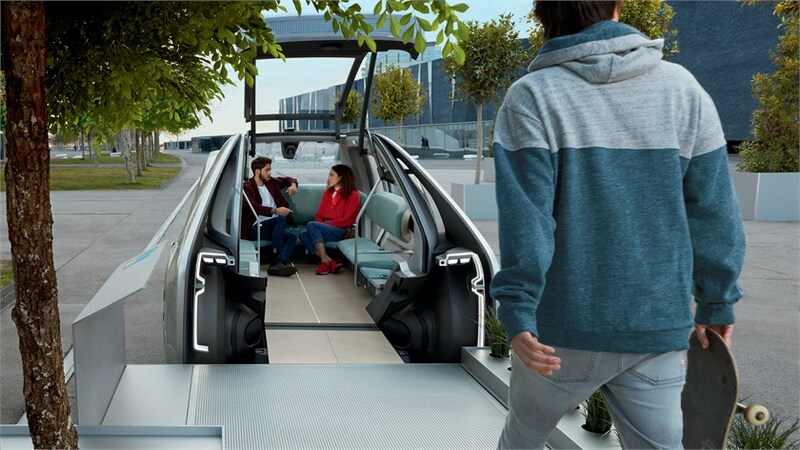 Available on demand, via an application as well as through permanent stations throughout the city, the robo-vehicle combines the flexibility and comfort of individual cars with the efficiency, safety and worry-free driving delegation offered by public transport. 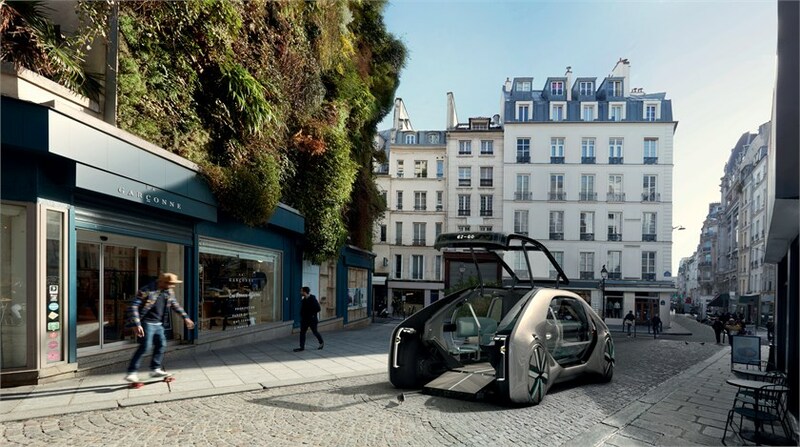 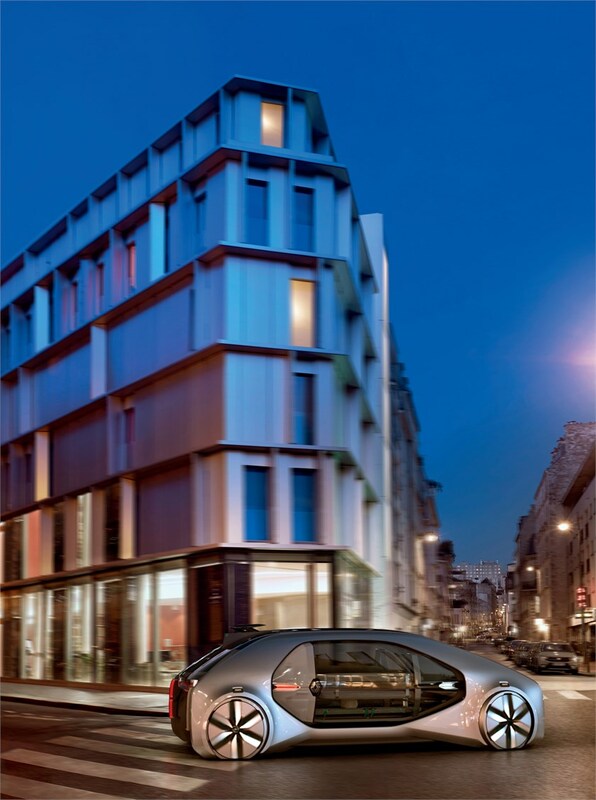 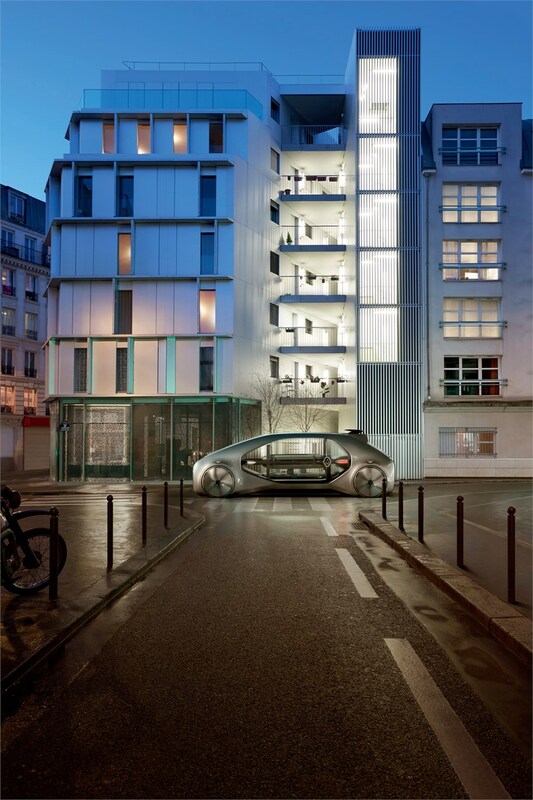 “We designed Renault EZ-GO to be an iconic symbol for cities. 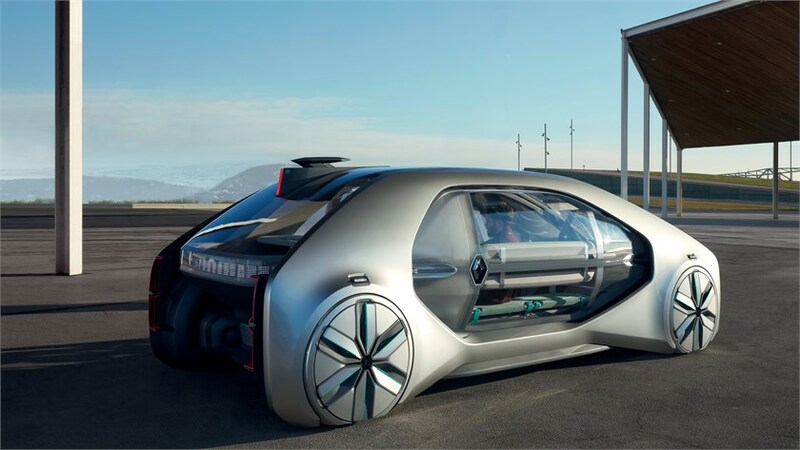 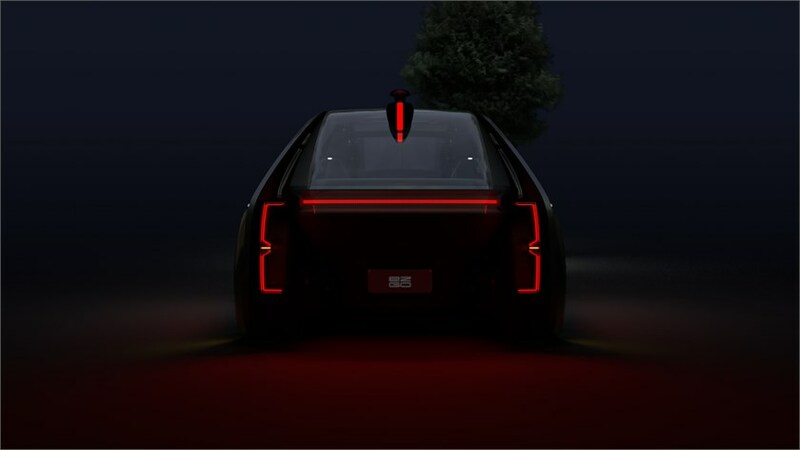 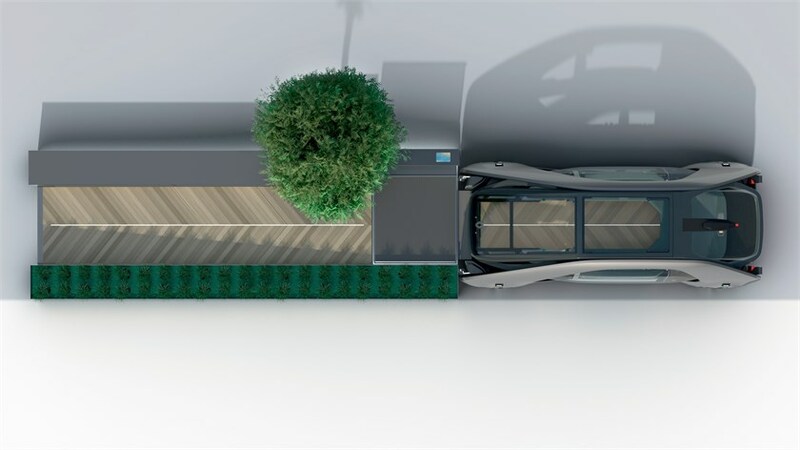 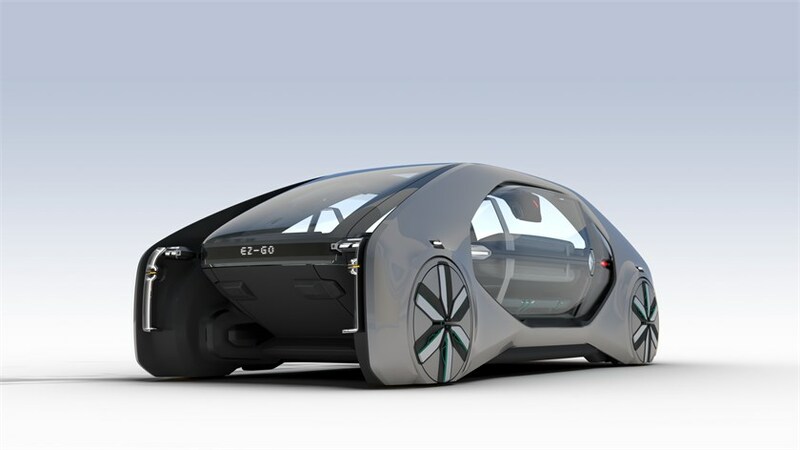 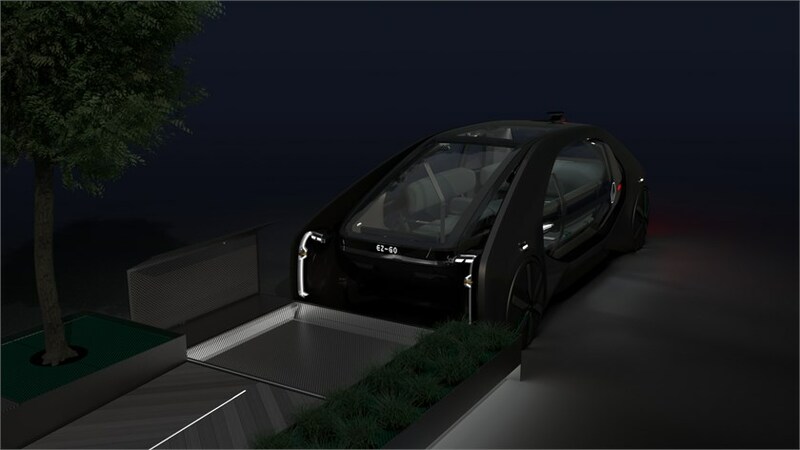 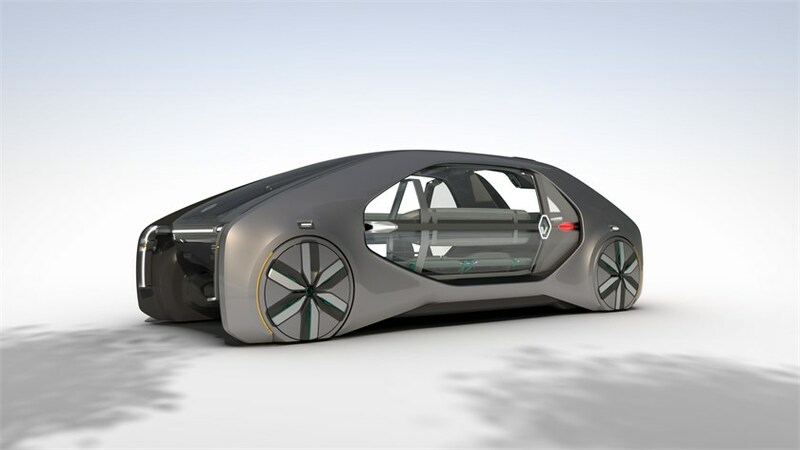 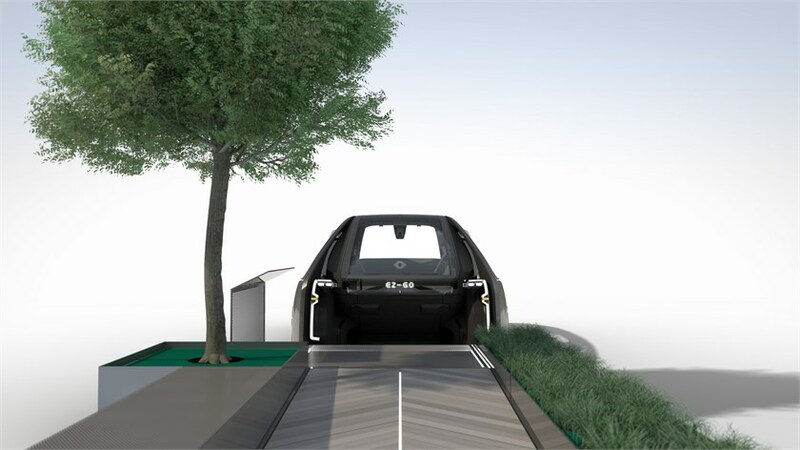 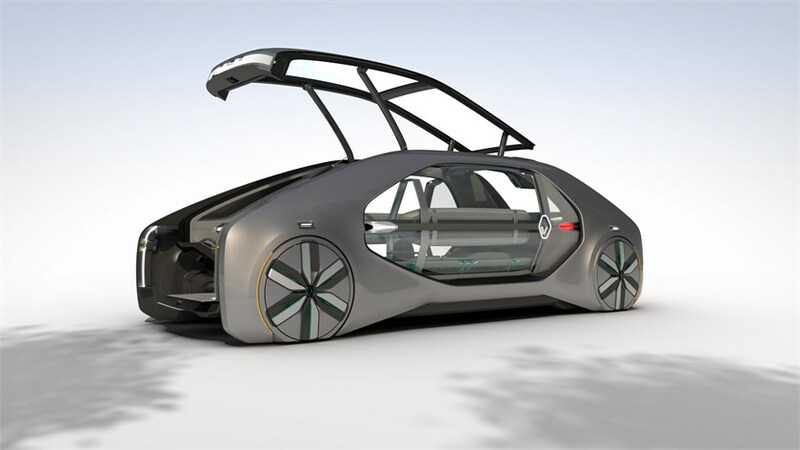 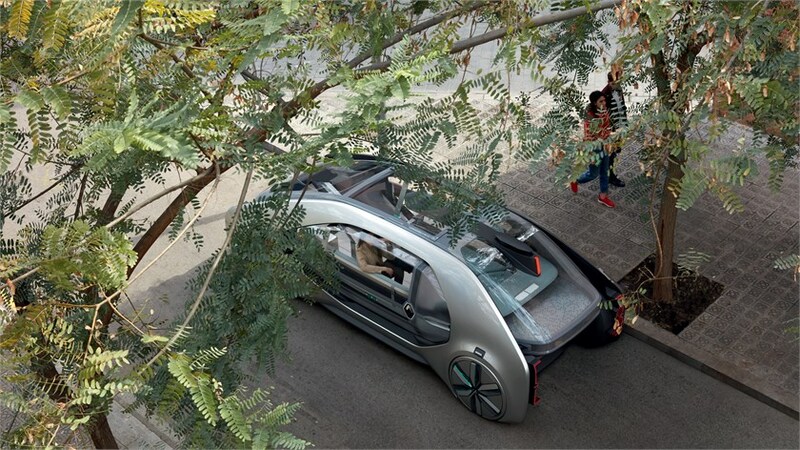 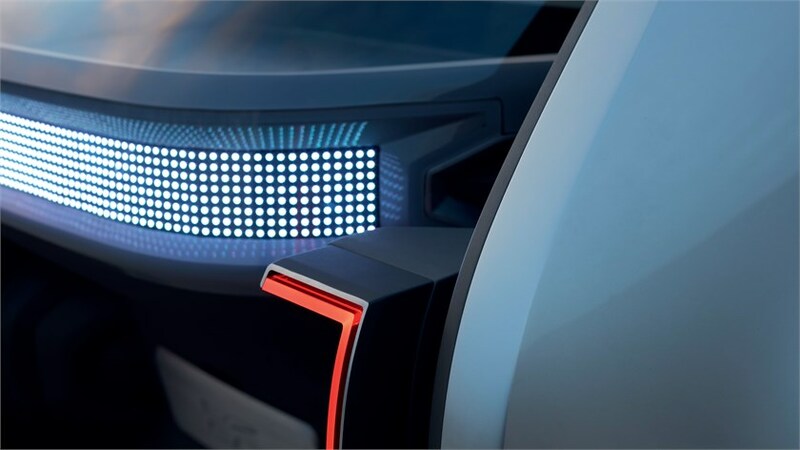 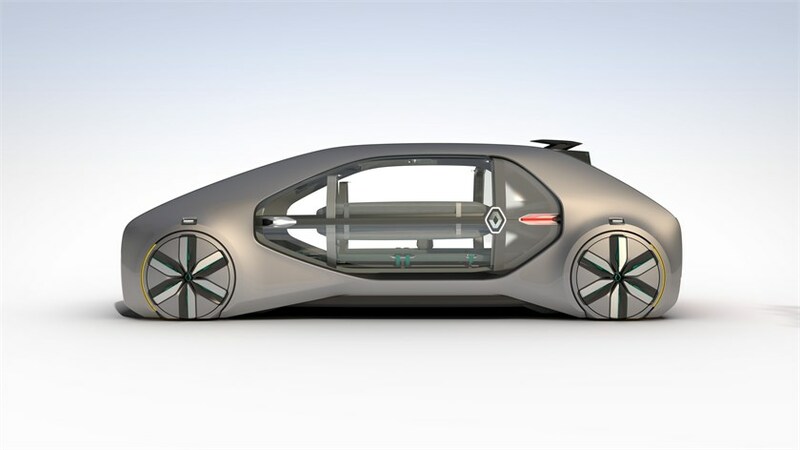 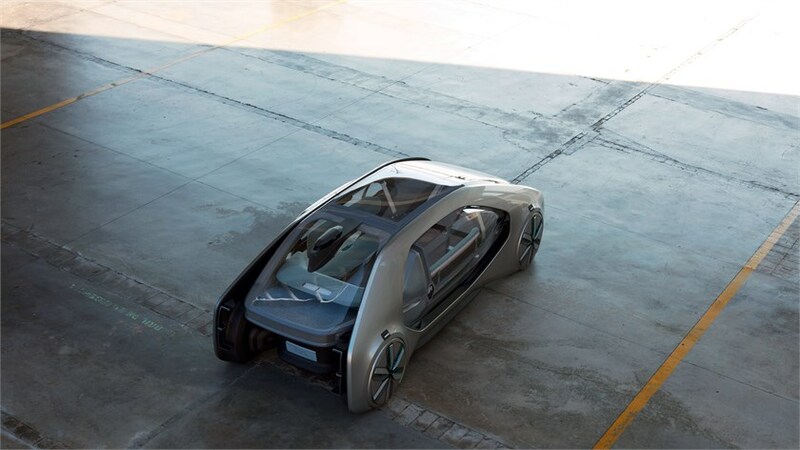 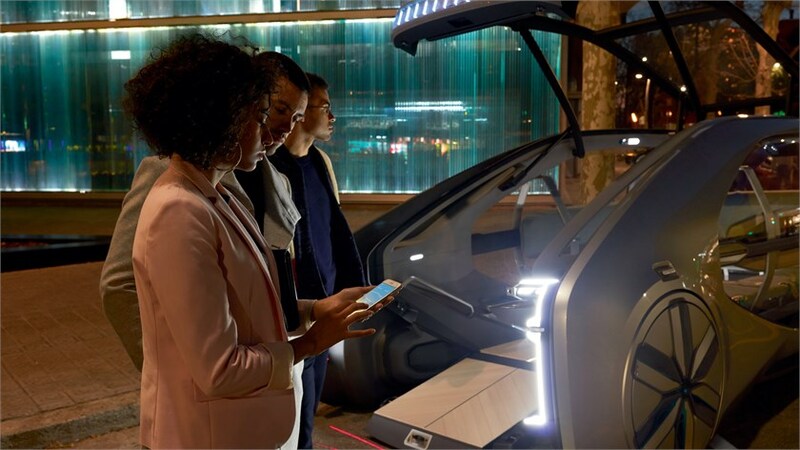 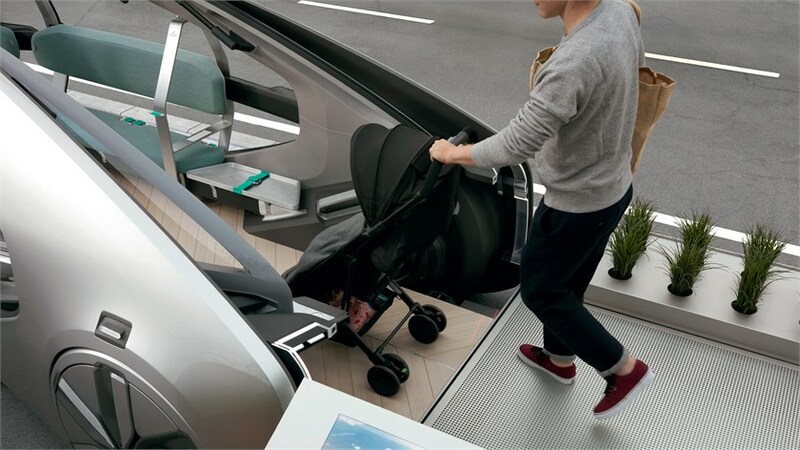 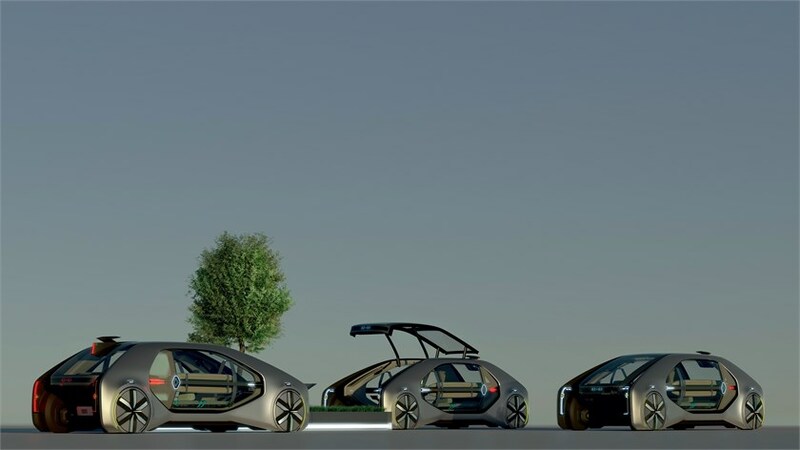 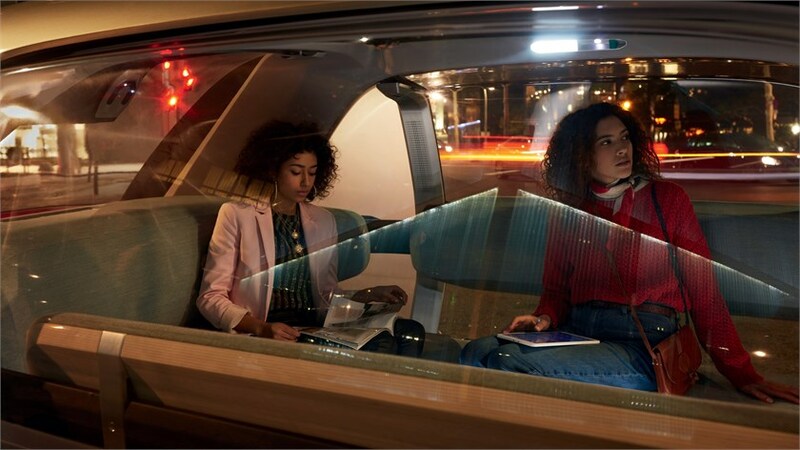 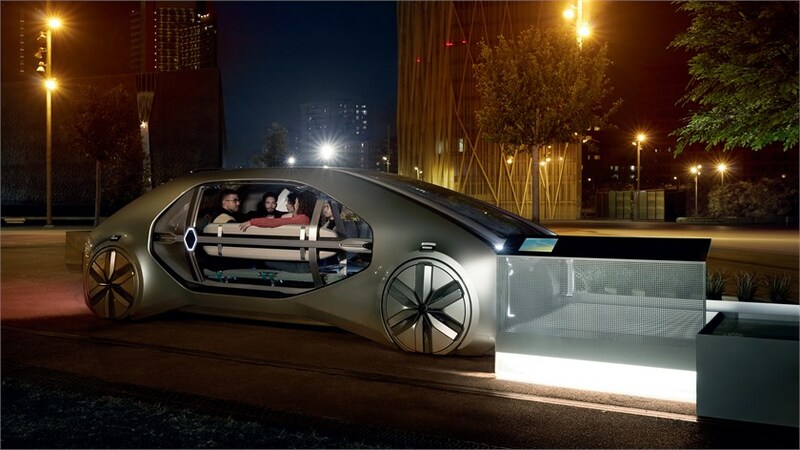 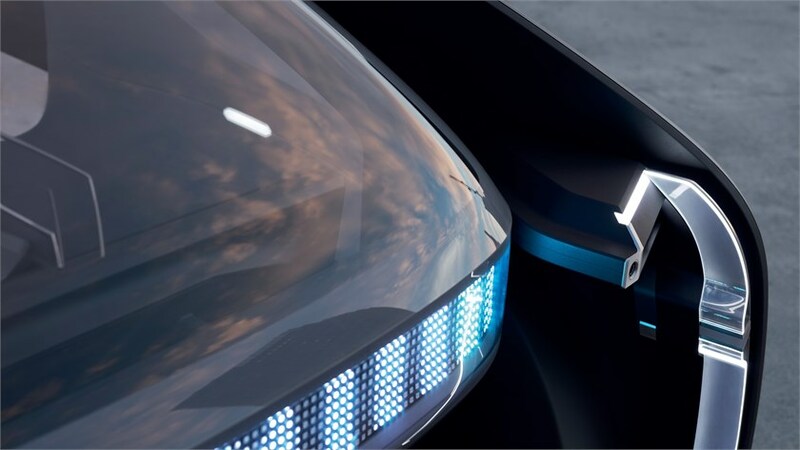 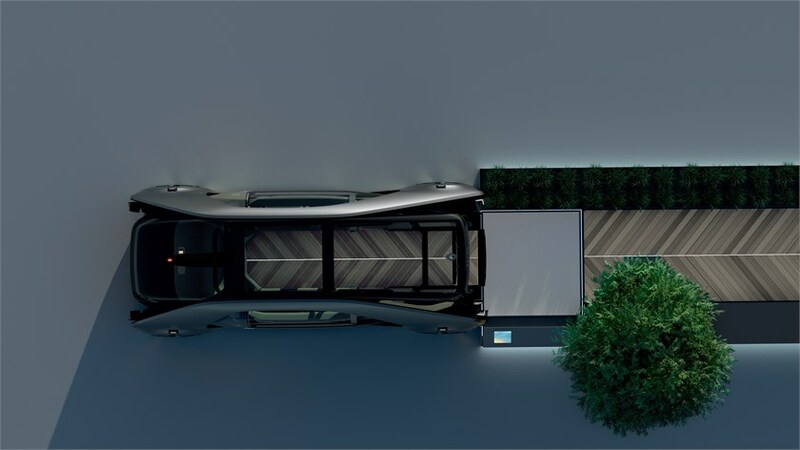 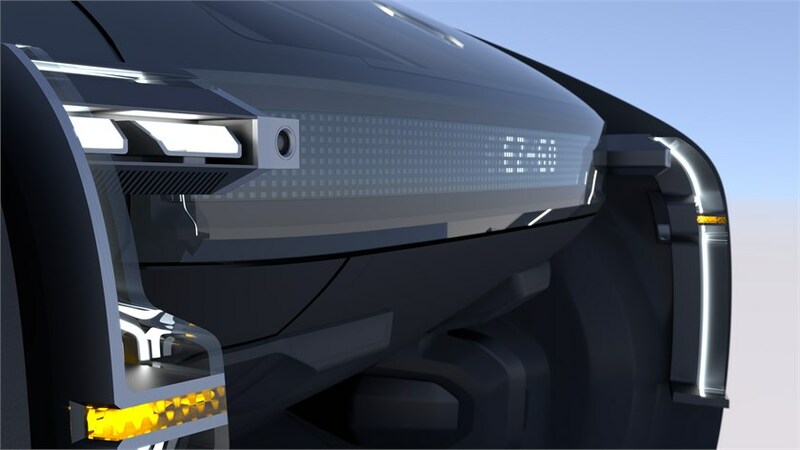 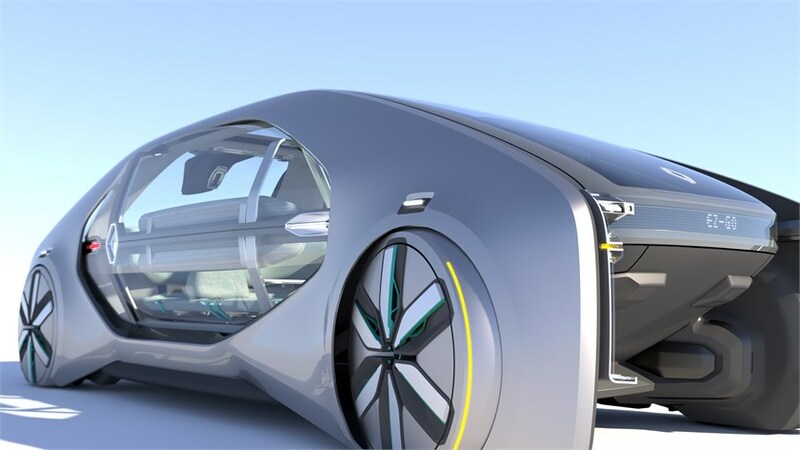 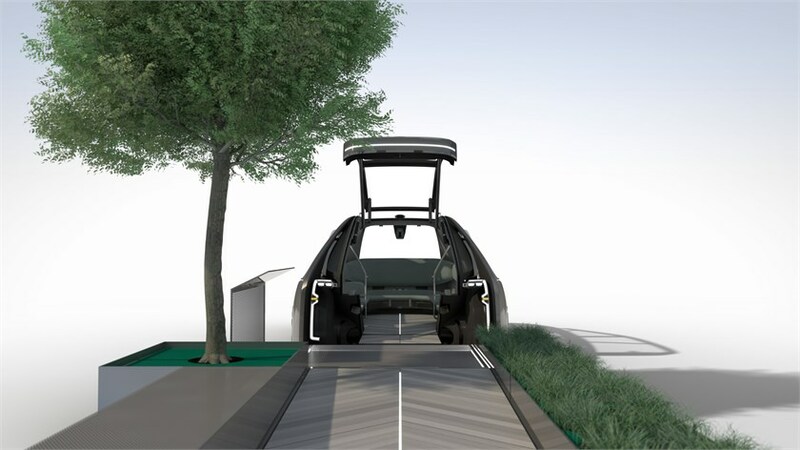 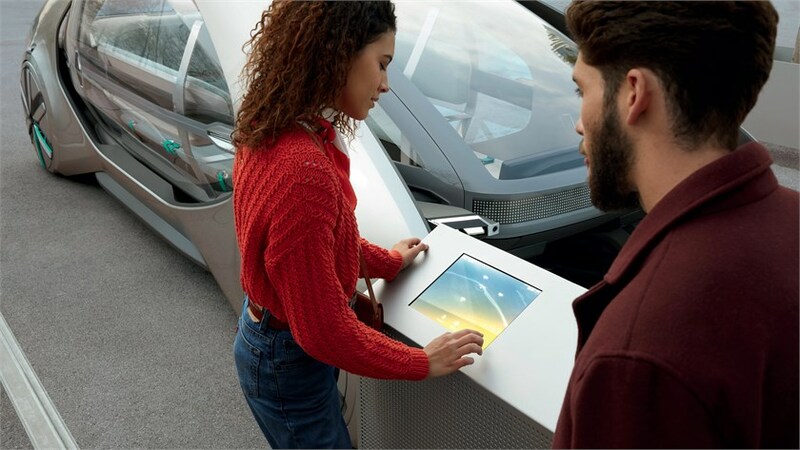 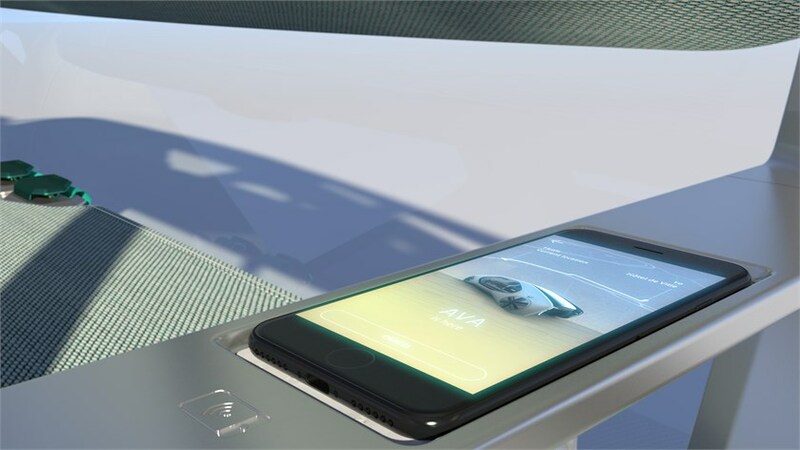 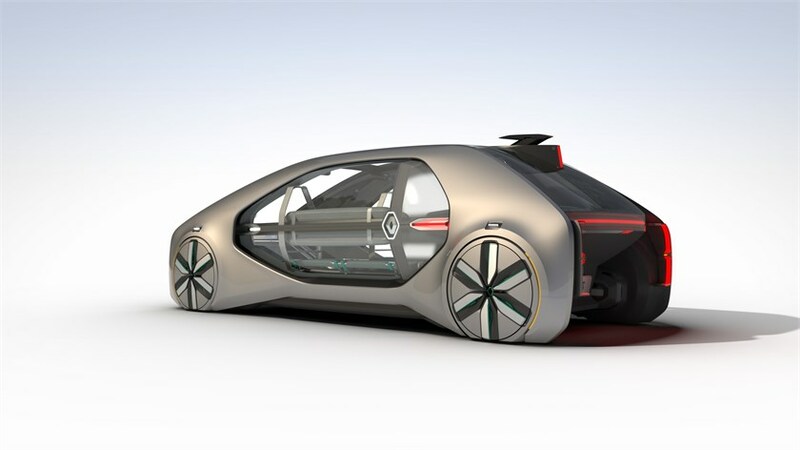 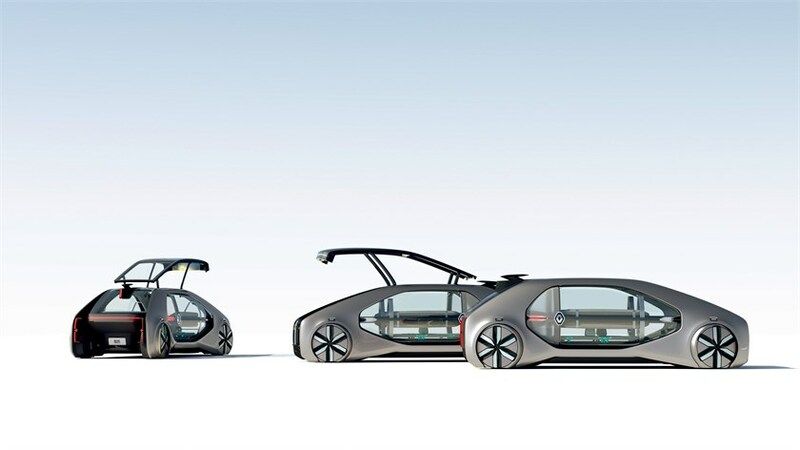 This electric, autonomous concept explores the positive potential impact of shared mobility for all,” said Laurens van den Acker, Senior Vice President Corporate Design. 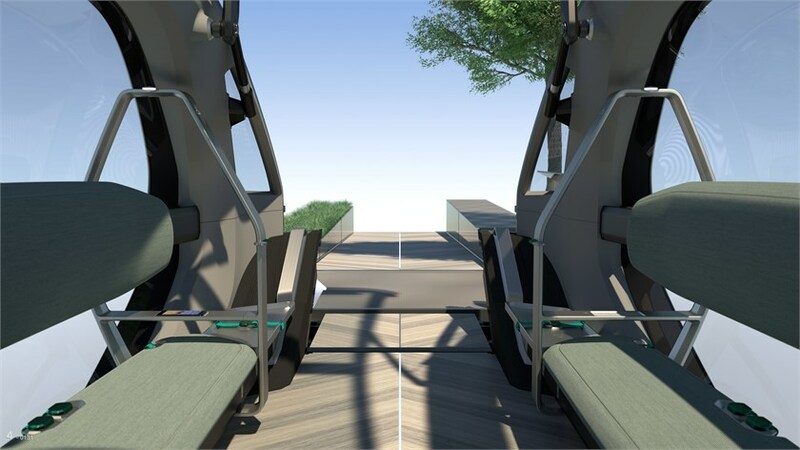 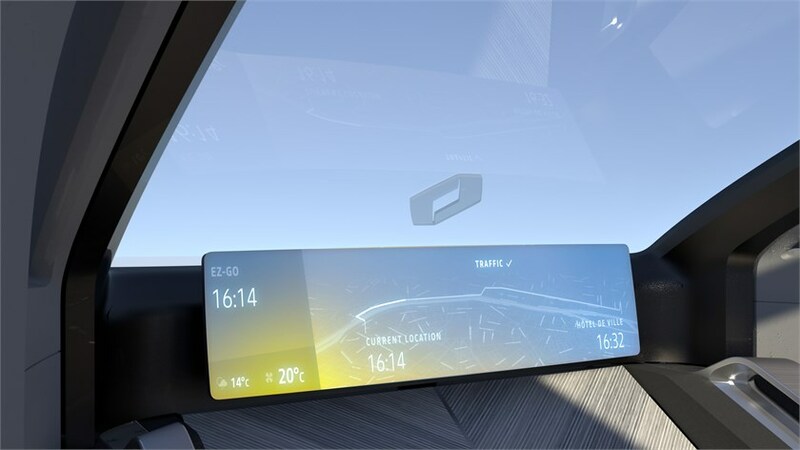 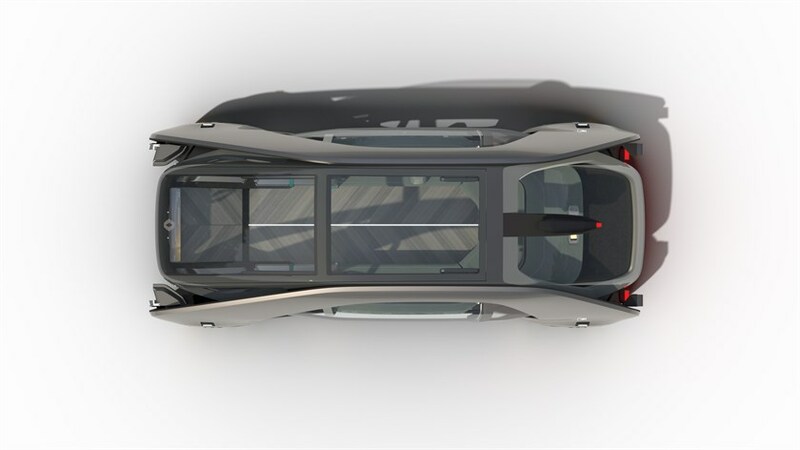 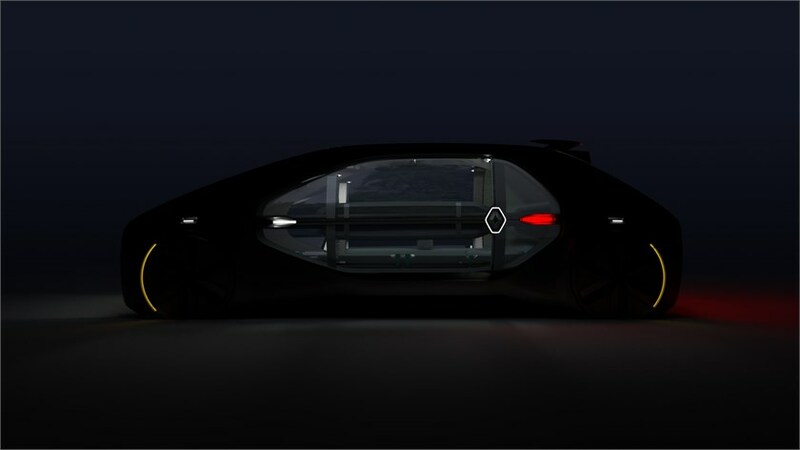 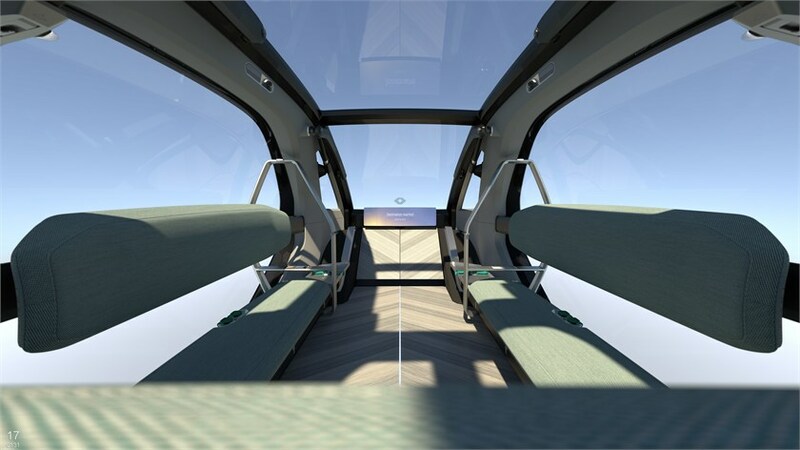 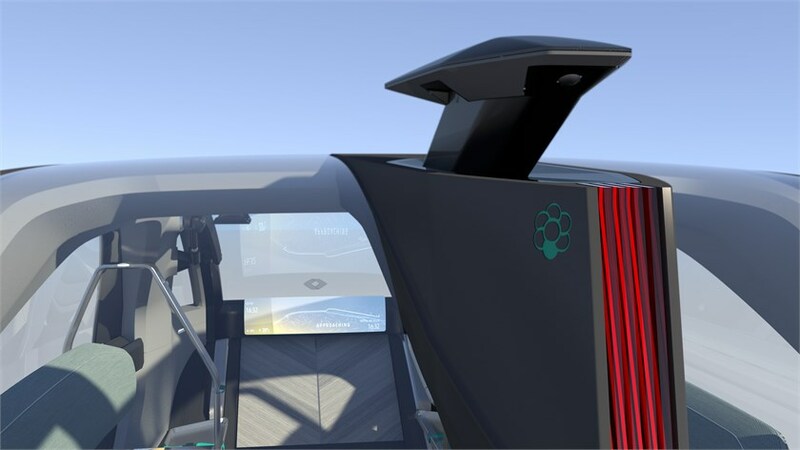 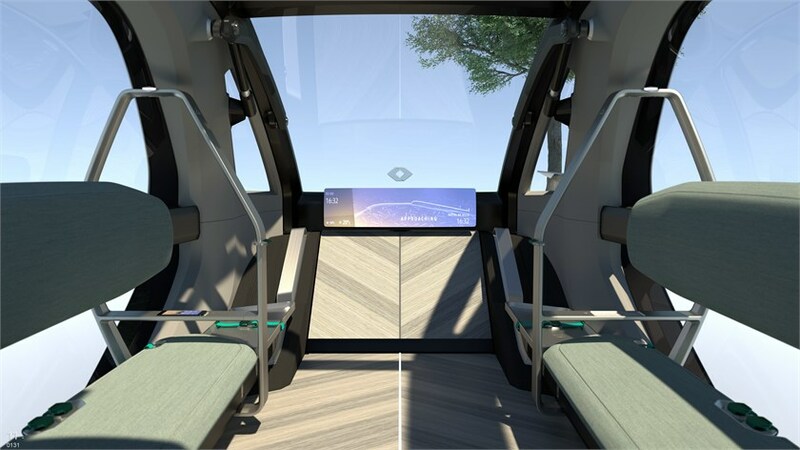 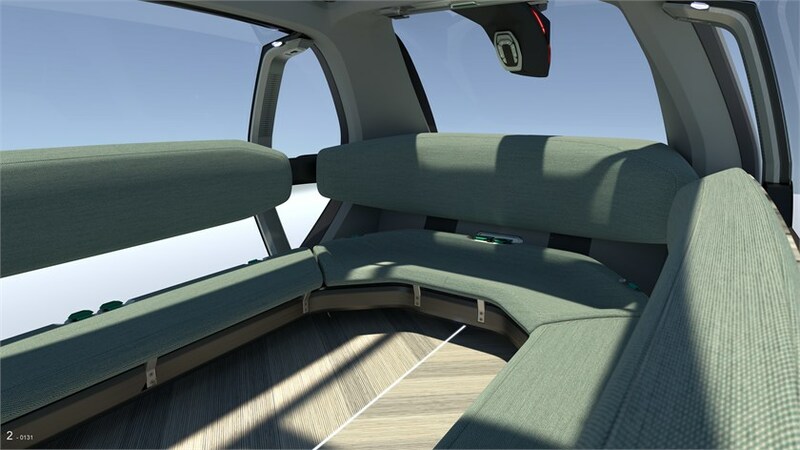 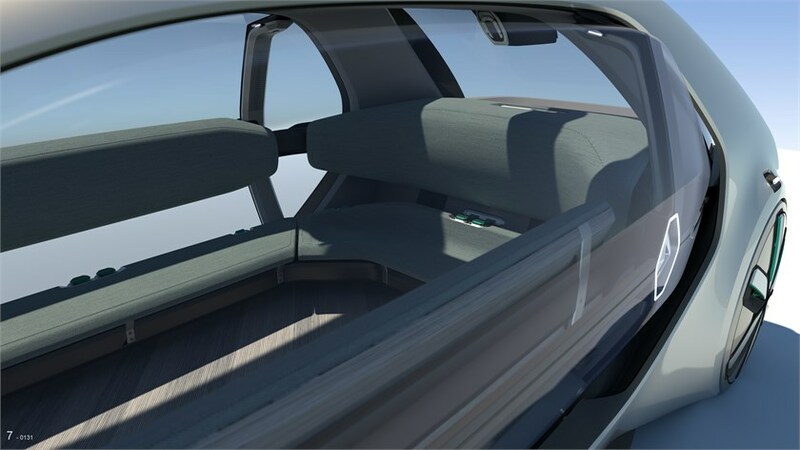 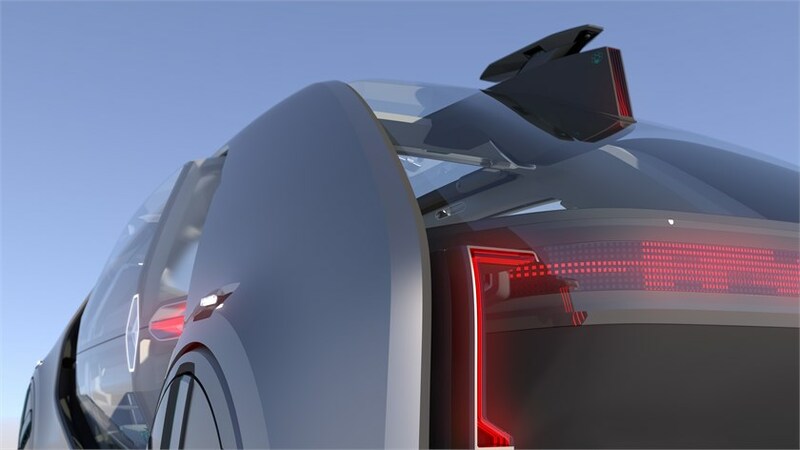 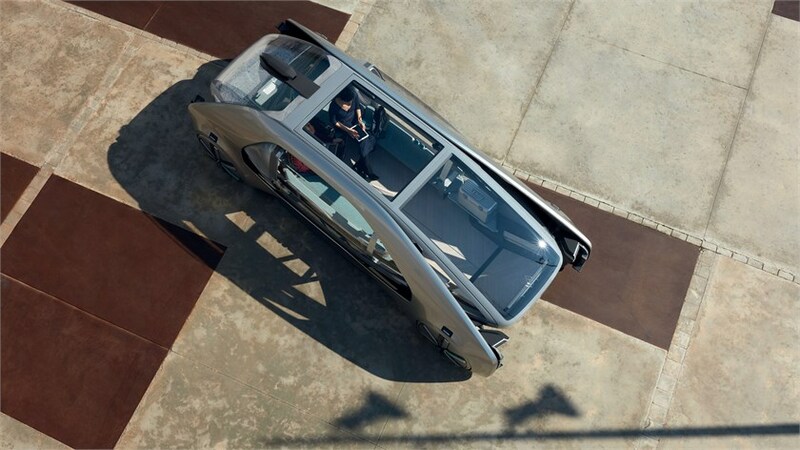 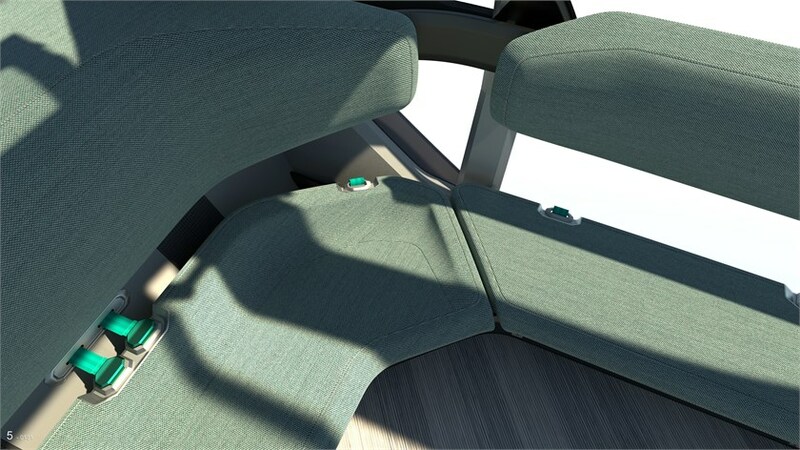 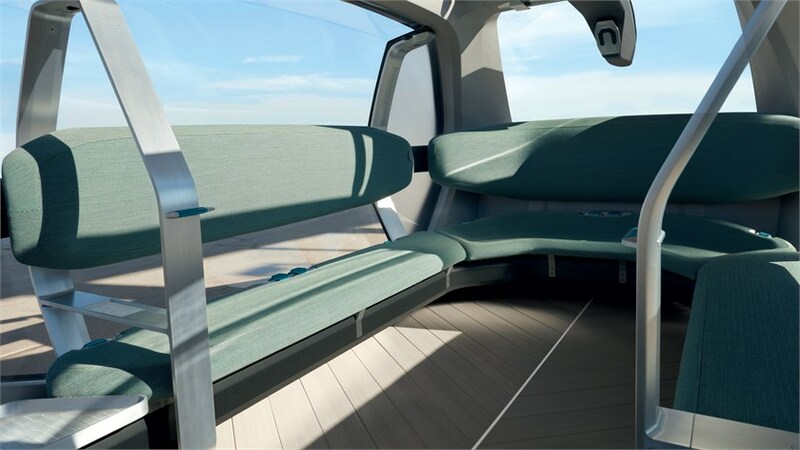 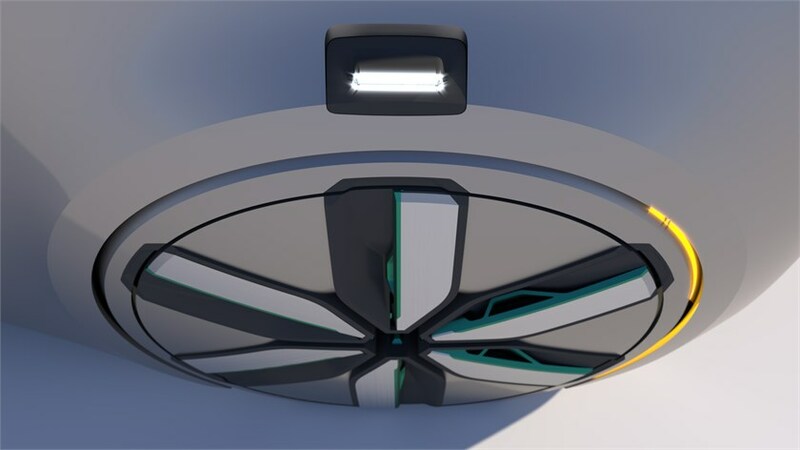 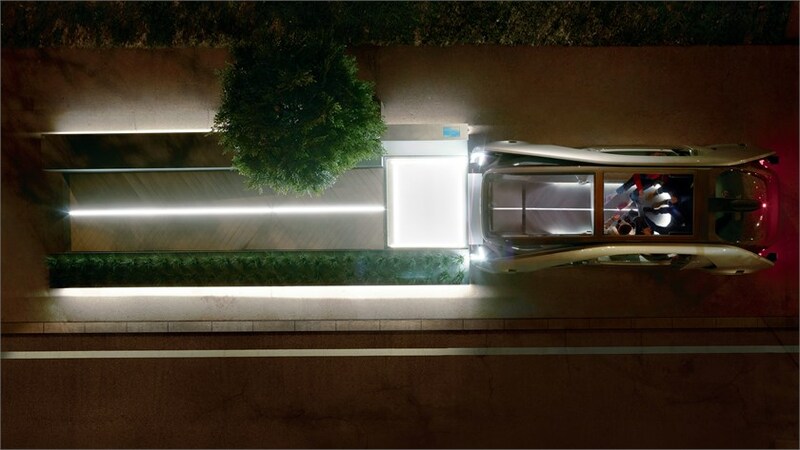 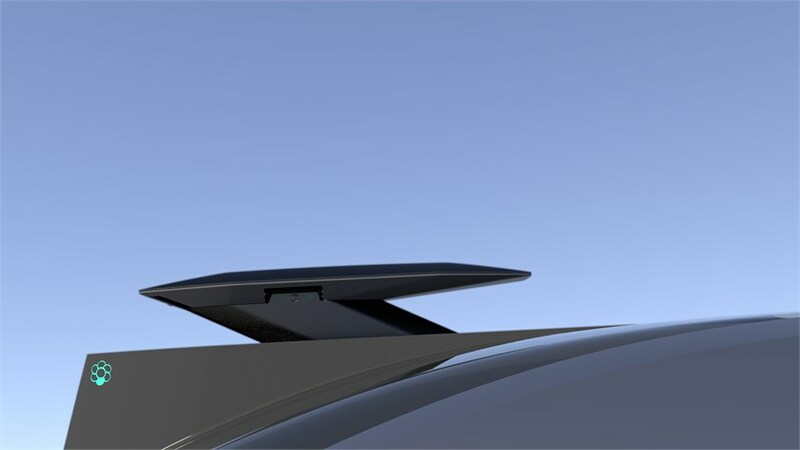 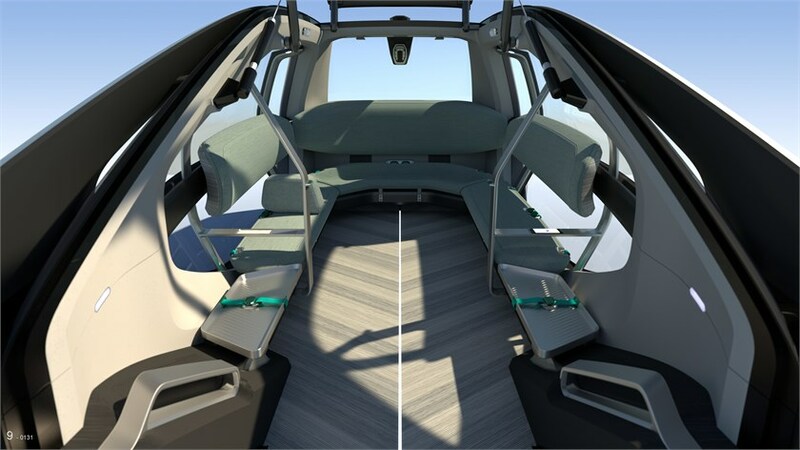 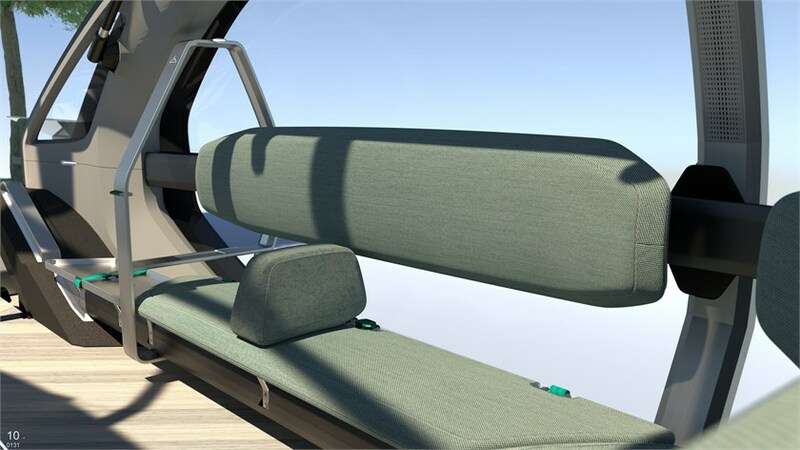 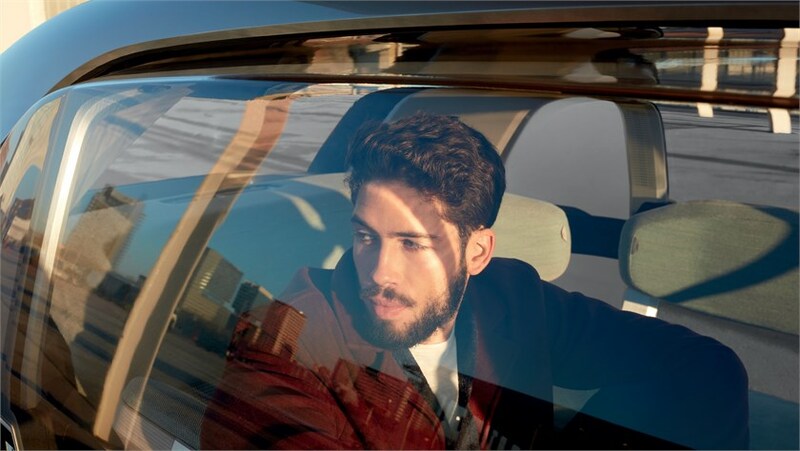 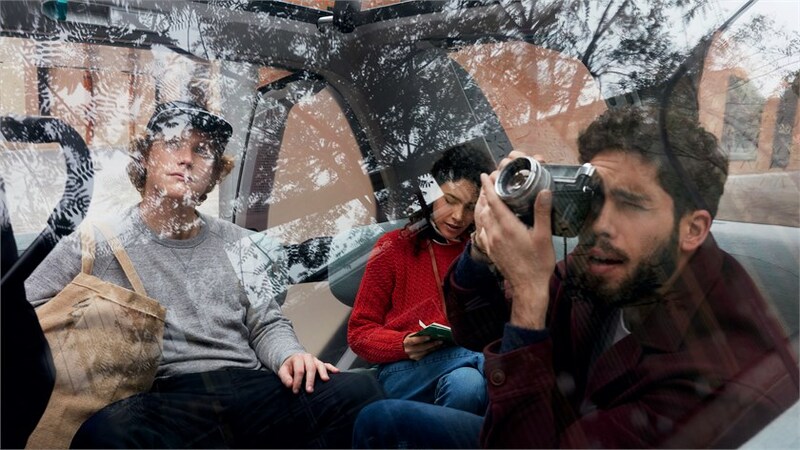 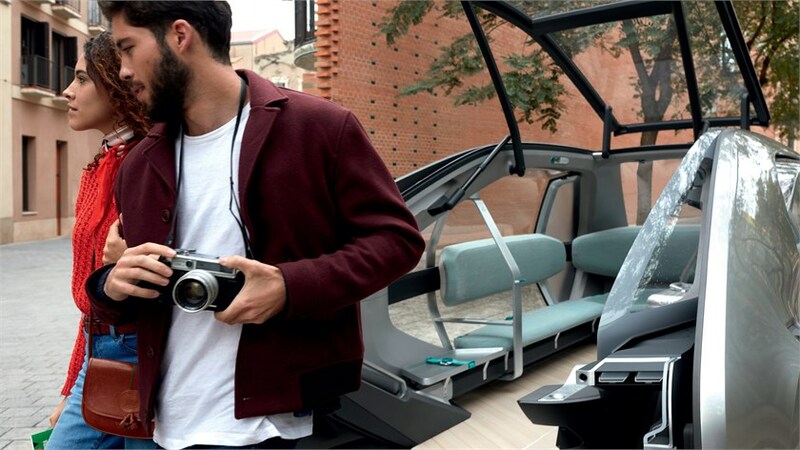 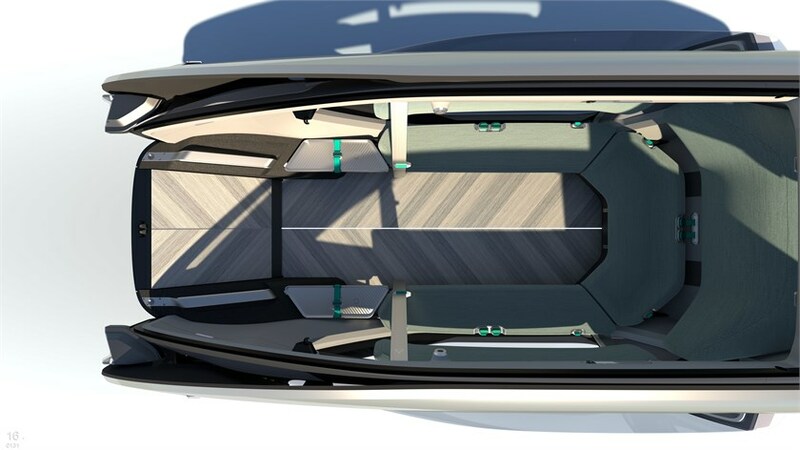 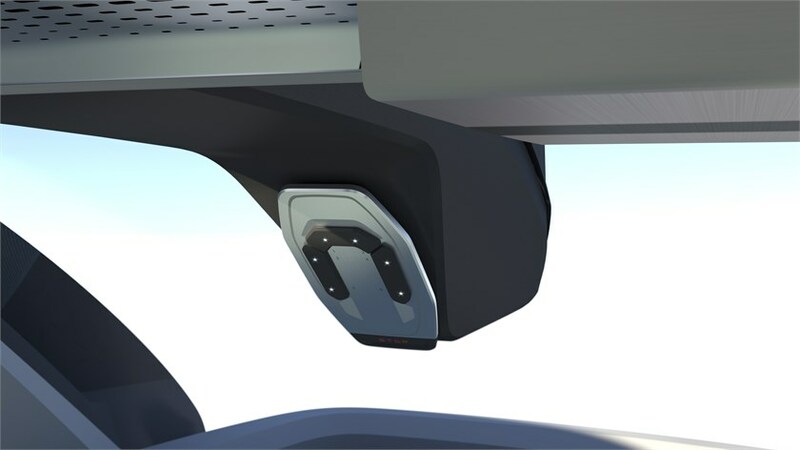 EZ-GO’s innovative architecture and cocoon-like styling was designed to maximize the field of vision of the autonomous system’s sensors, and allow natural light through the panoramic glass roof. 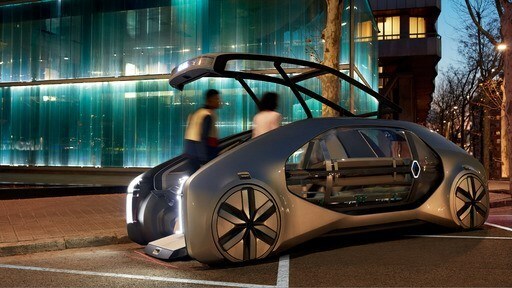 The robo-vehicle’s height does not interfere with pedestrians’ view of the city. 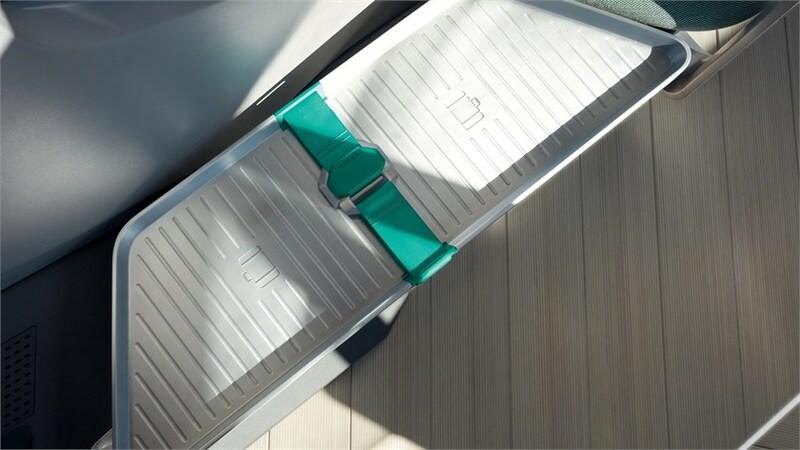 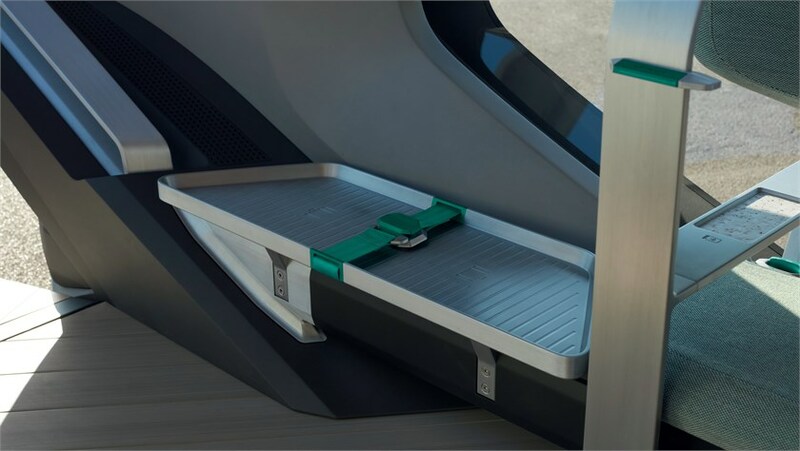 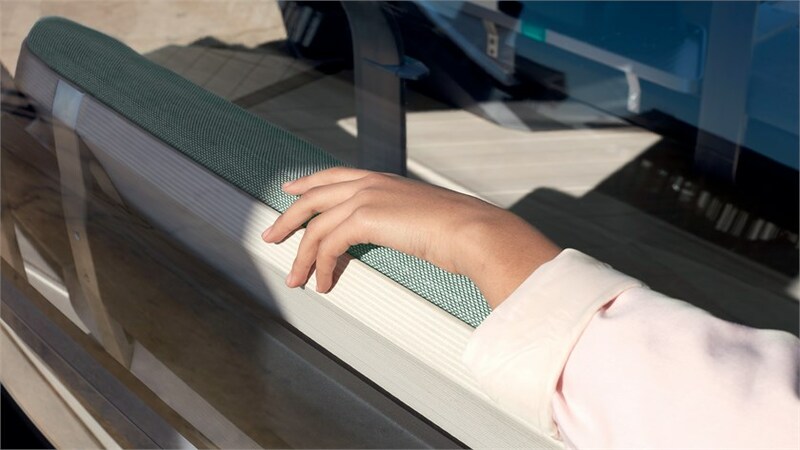 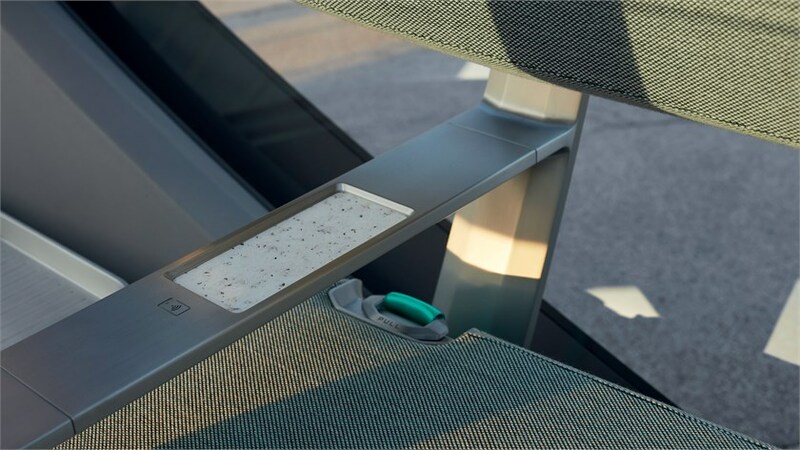 Once connected to its station, EZ-GO offers a wide flat floor flush with the boarding ramp, making it easy to get onboard, whether walking or with wheels. 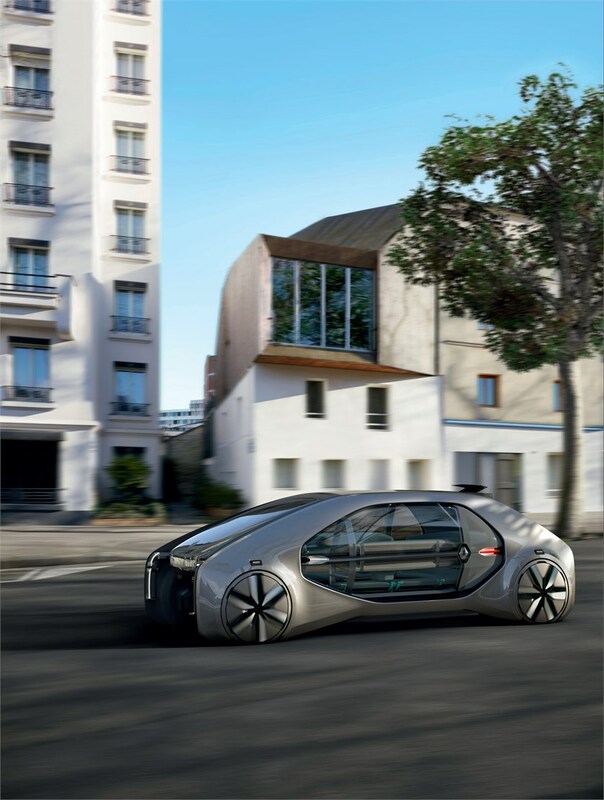 The characteristics of EZ-GO make it possible to change usage and user scenarios, keeping with the “Easy Life” approach which is at the heart of Renault’s DNA. 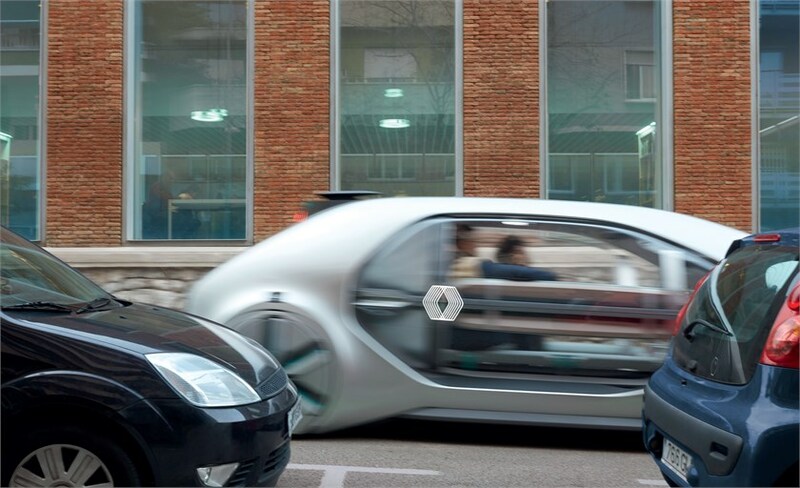 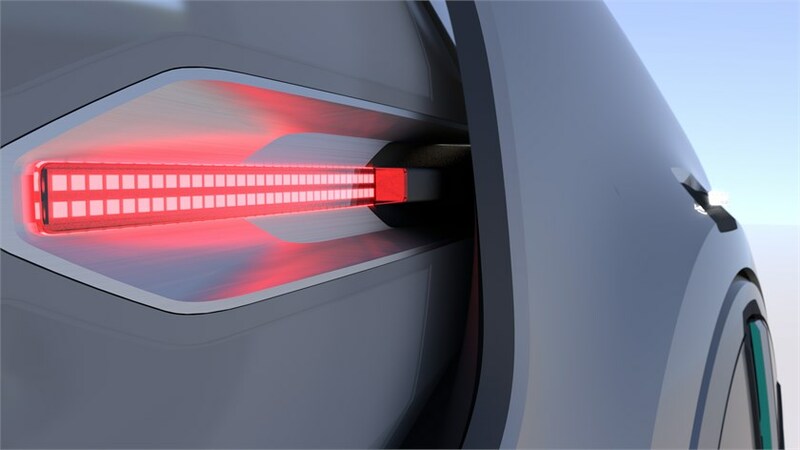 Renault EZ-GO has level 4 autonomous driving capability which means the vehicle is able to manage its distance from the vehicle in front, stay in lane, change lanes and turn all by itself at a junction. 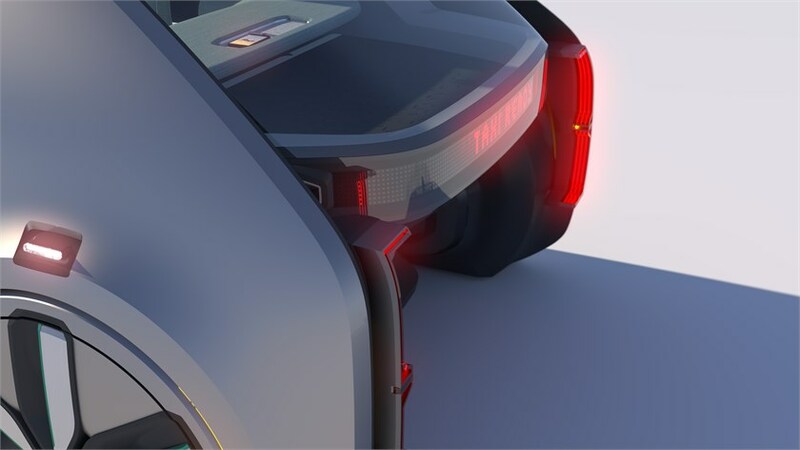 It can also move into a safe position in cases of exceptional incidents in its vicinity, either by itself or through its connectivity with a monitoring center. 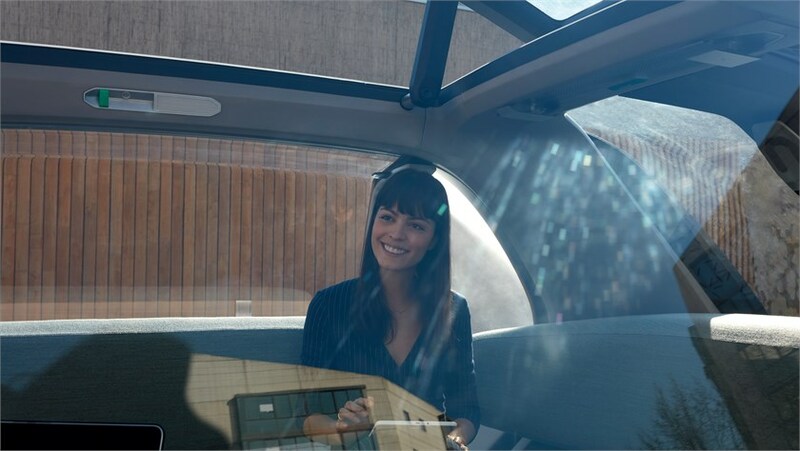 Renault EZ-GO actively bolsters its users’ safety thanks to its limited speed (50 km/h – 30 mph), its wide front opening is safe and away from the road for passengers when getting in and out, and the light marking the ground outside to indicate where the platform will land. 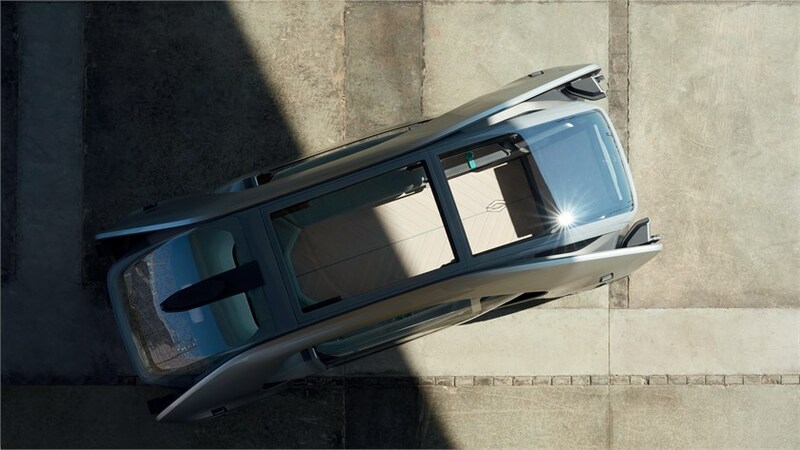 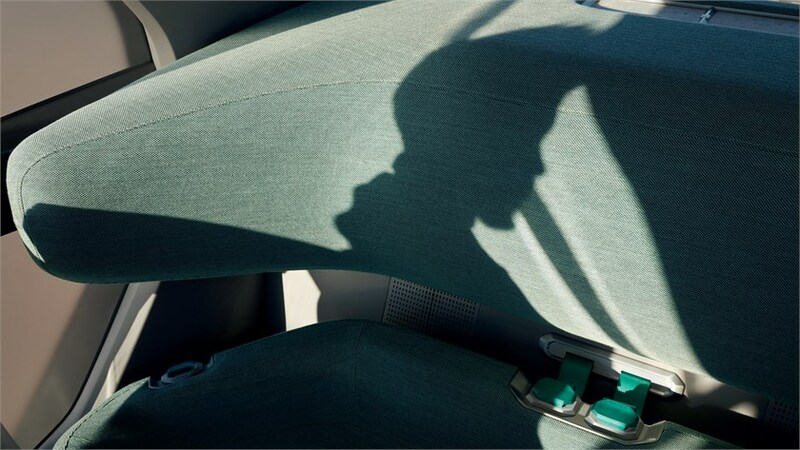 4CONTROL, Renault’s innovative four-wheel steering technology, is also employed to impart agility and increased safety. 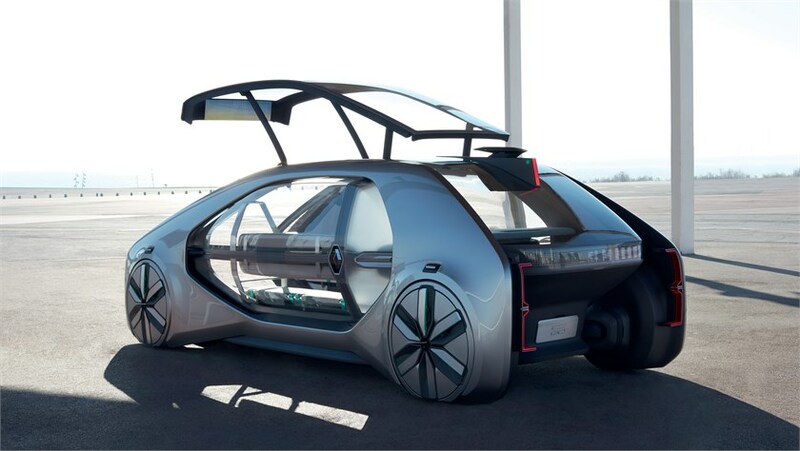 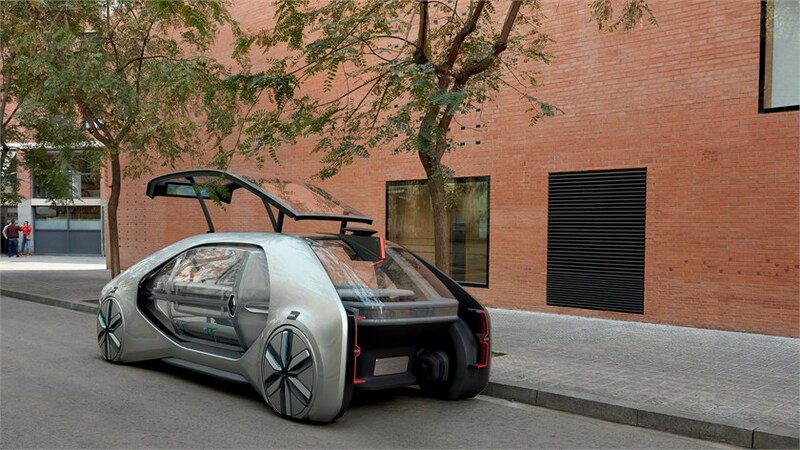 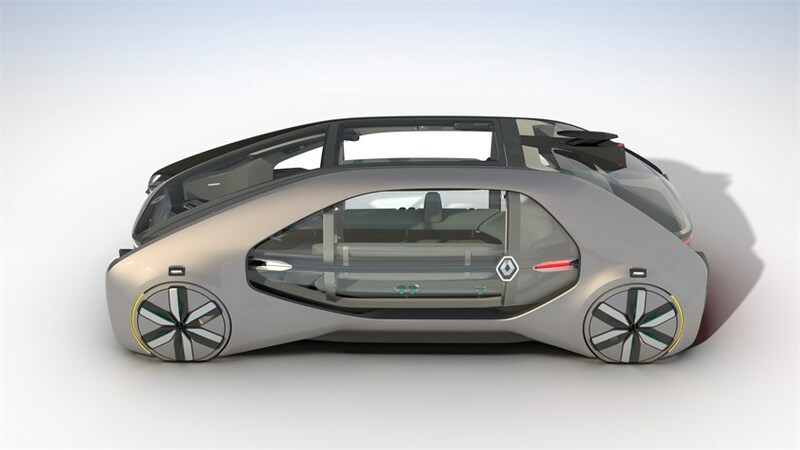 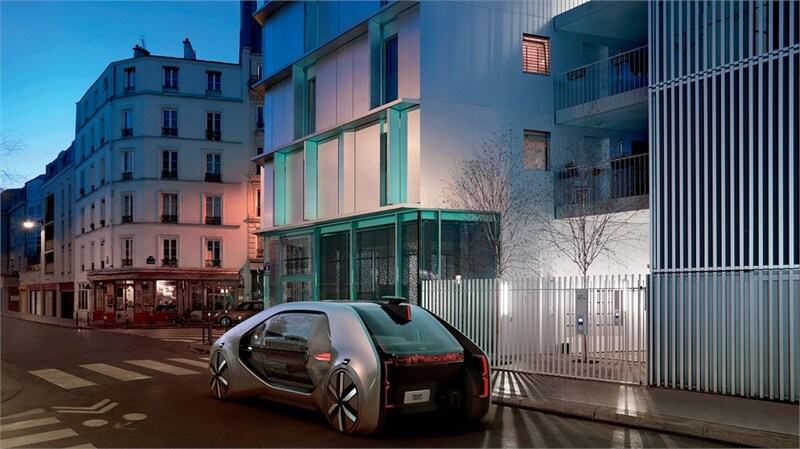 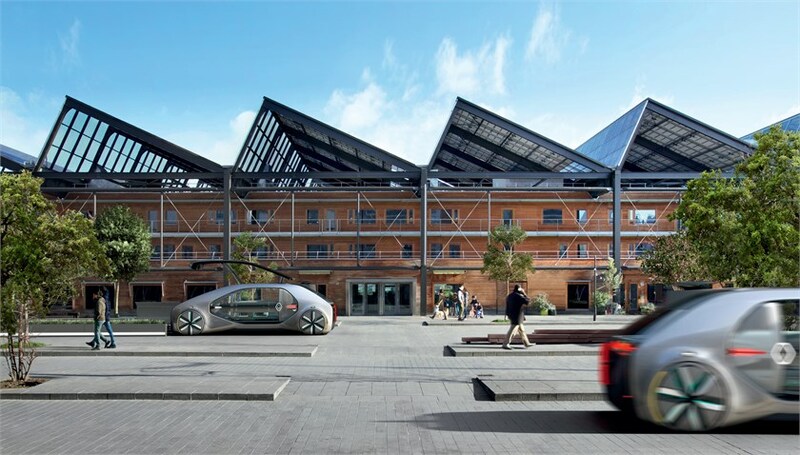 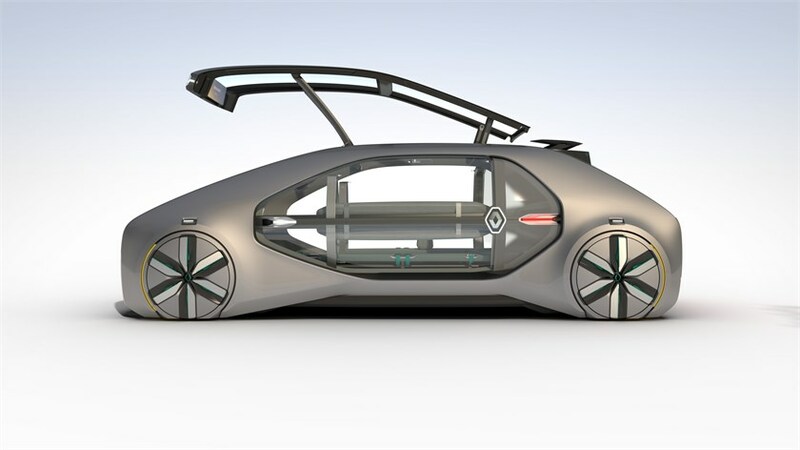 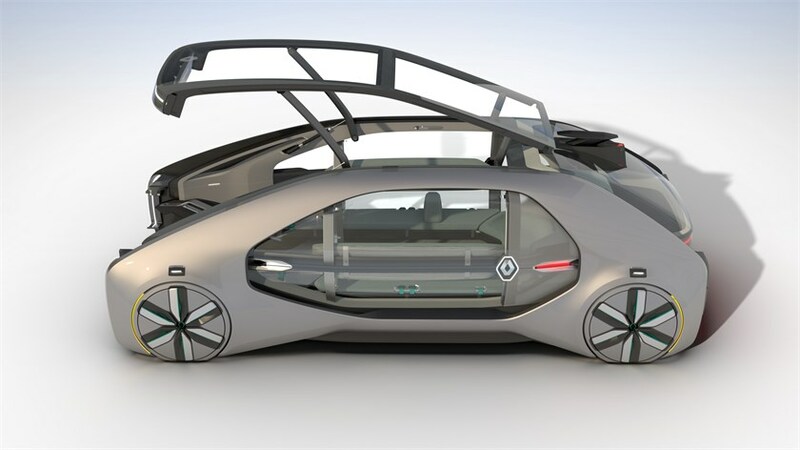 While EZ-GO represents a vision of the robo-vehicle of the future, Groupe Renault’s ambition is to bring new shared mobility solutions to market through a mix of car sharing, carpooling, ride hailing and robo-vehicle services. 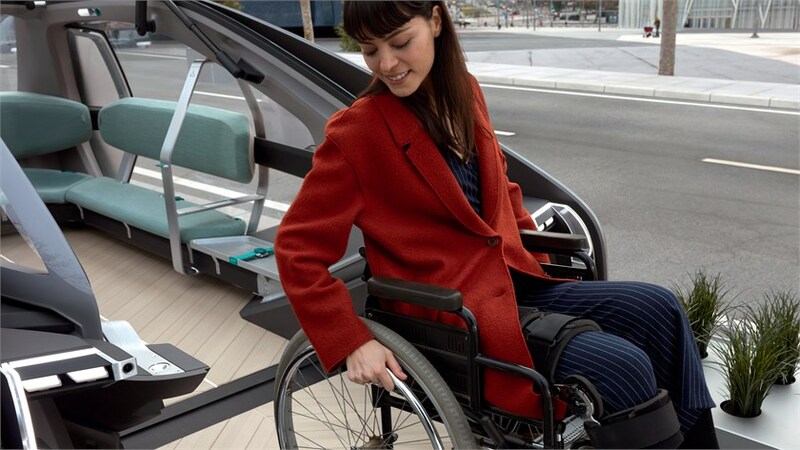 To deliver these mobility solutions Groupe Renault will continue in an open innovation approach with partners, public sector and leveraging the deep R&D resources across Renault-Nissan-Mitsubishi.